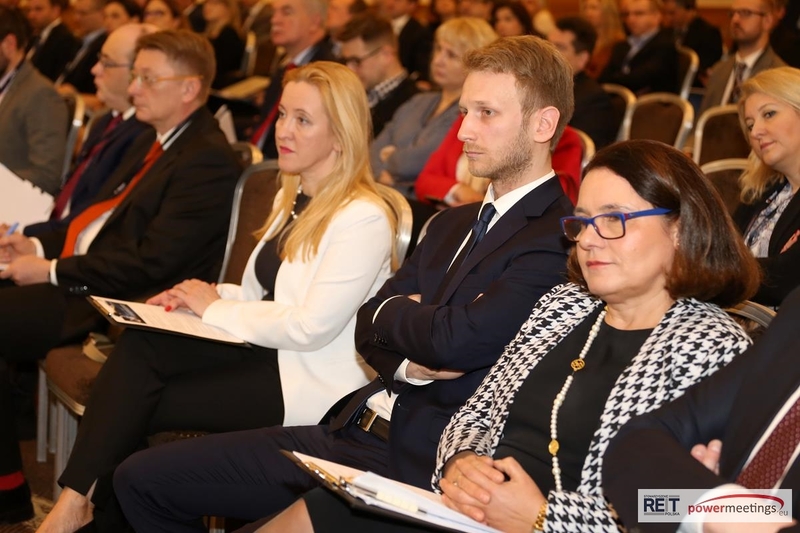 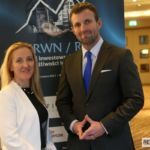 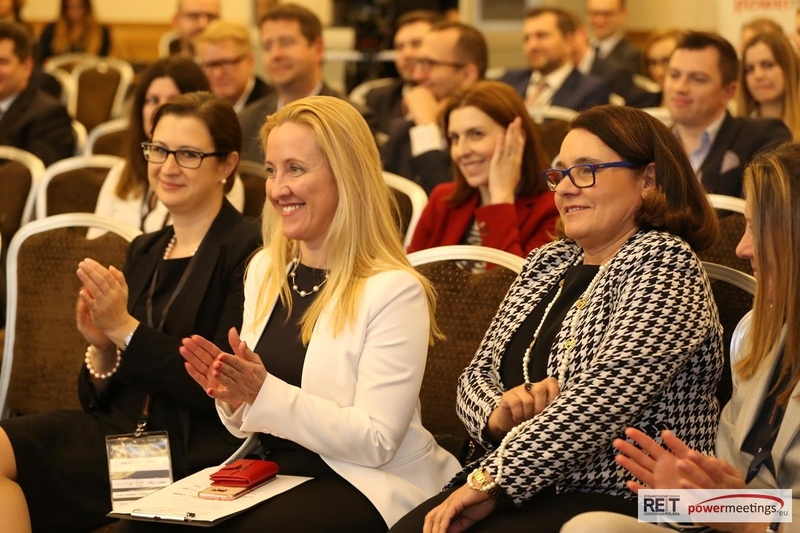 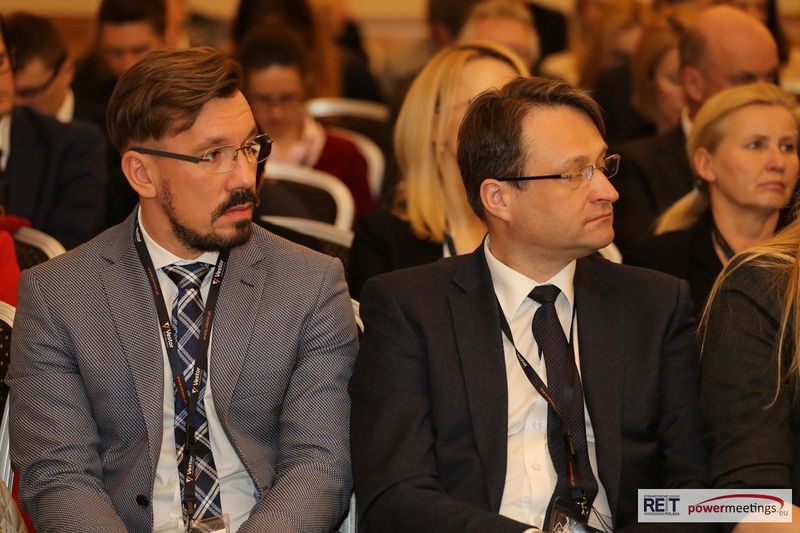 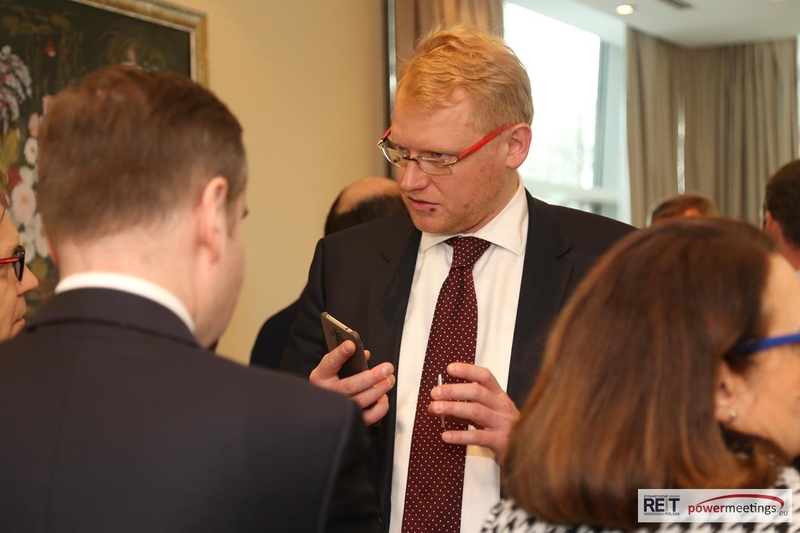 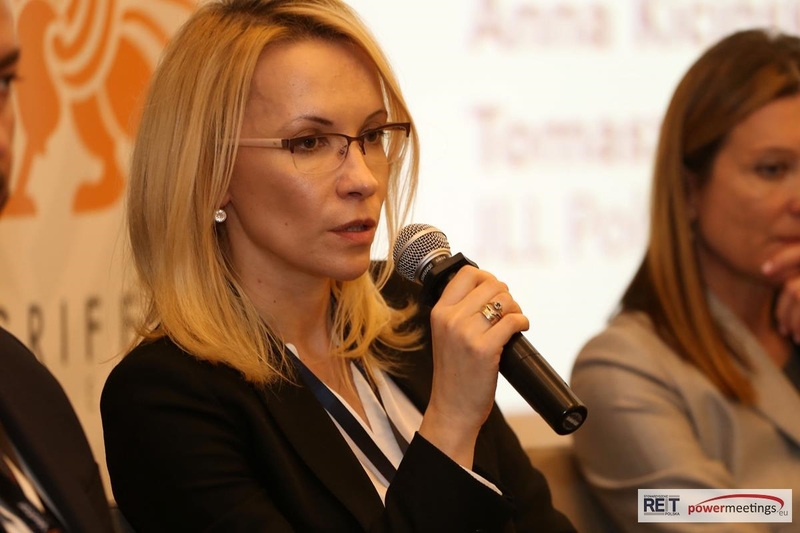 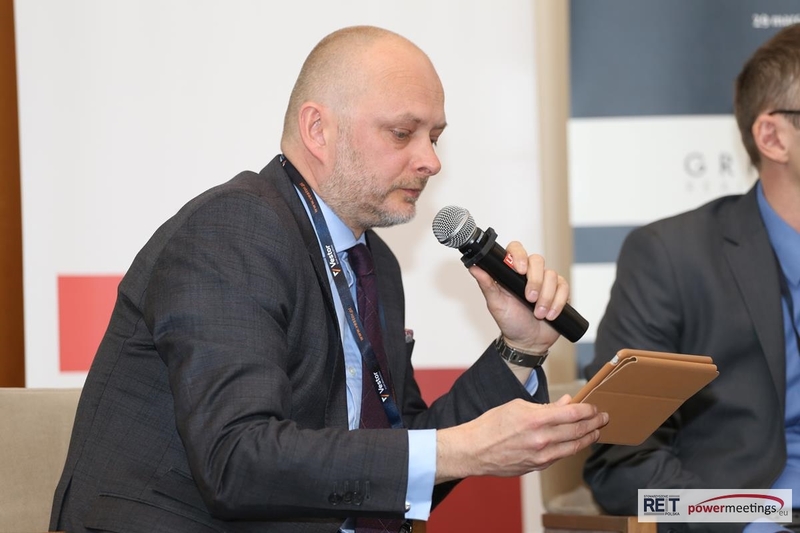 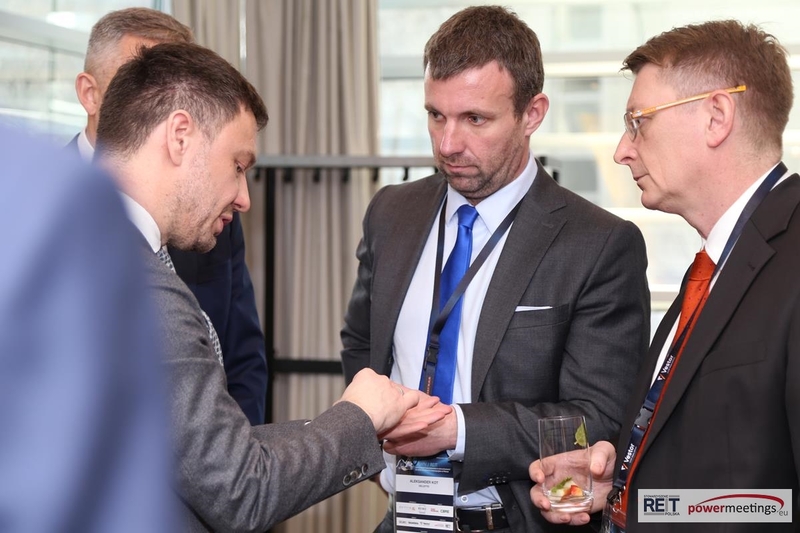 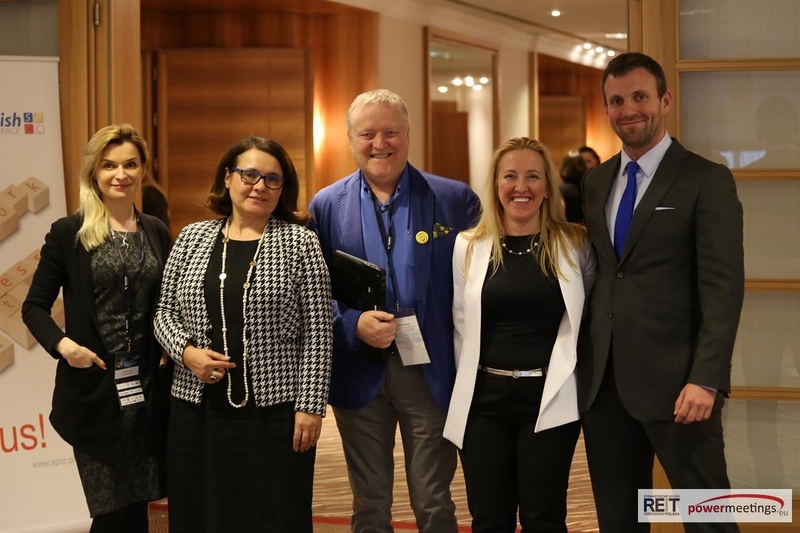 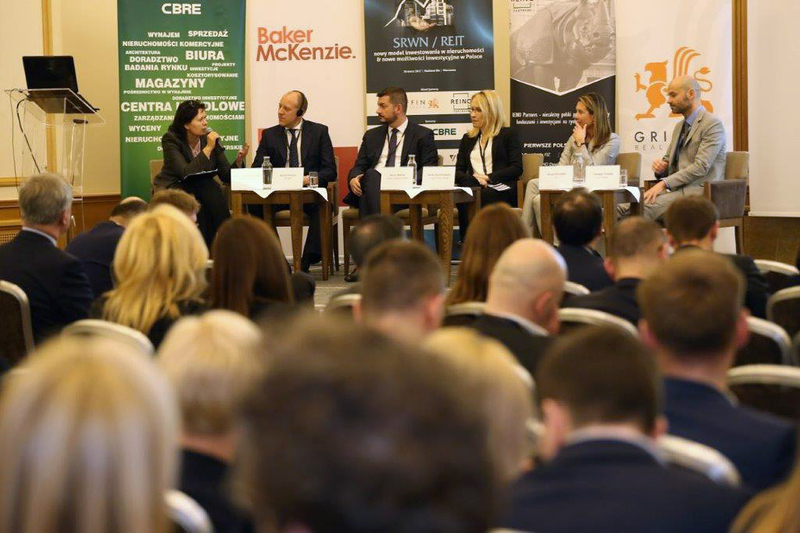 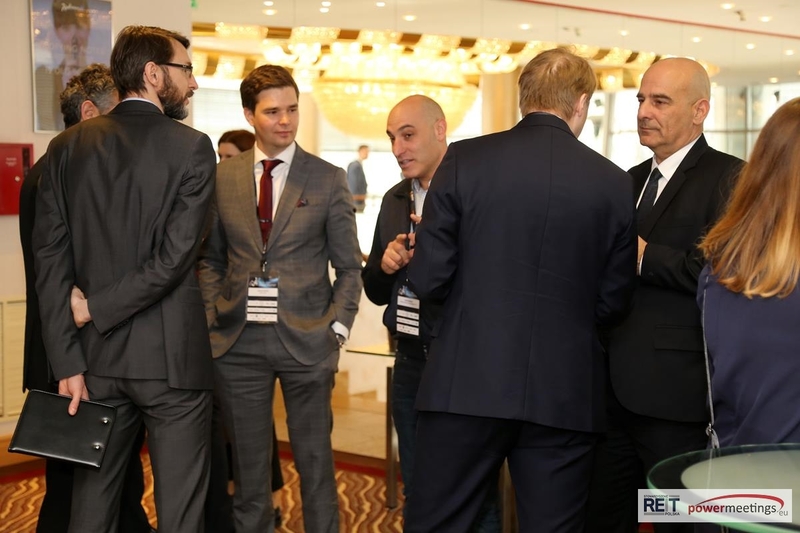 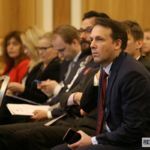 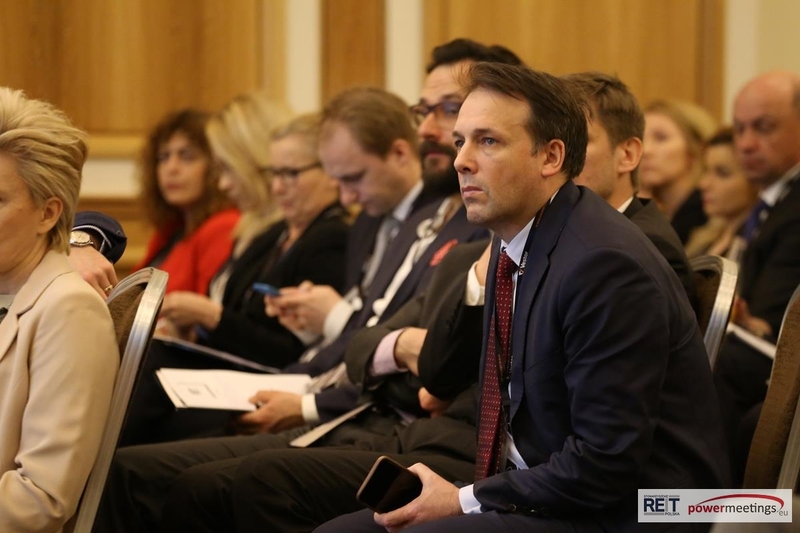 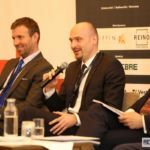 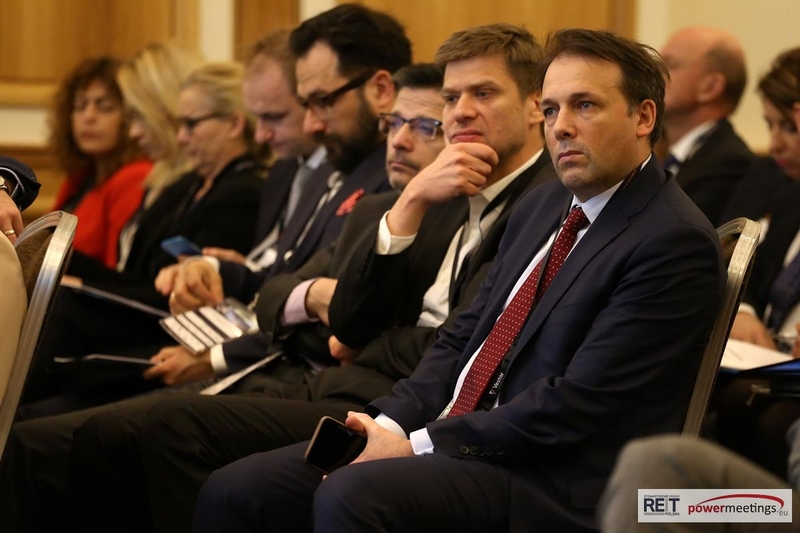 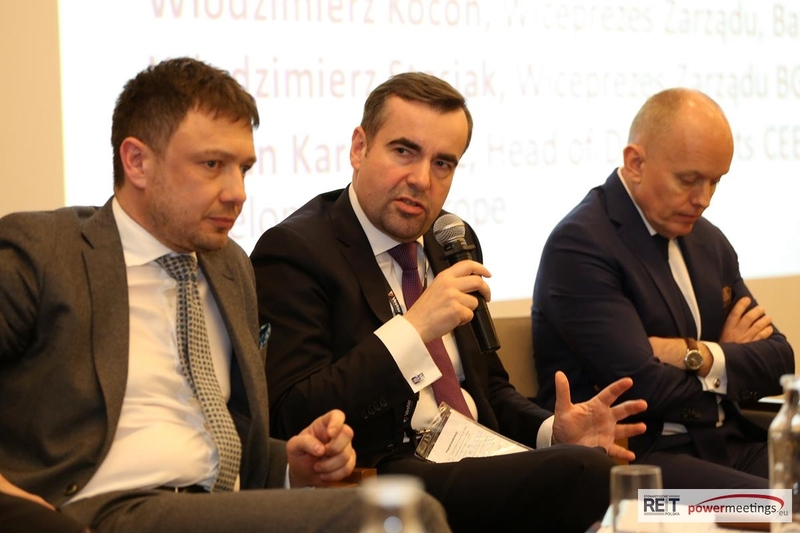 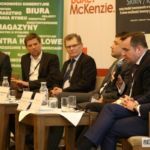 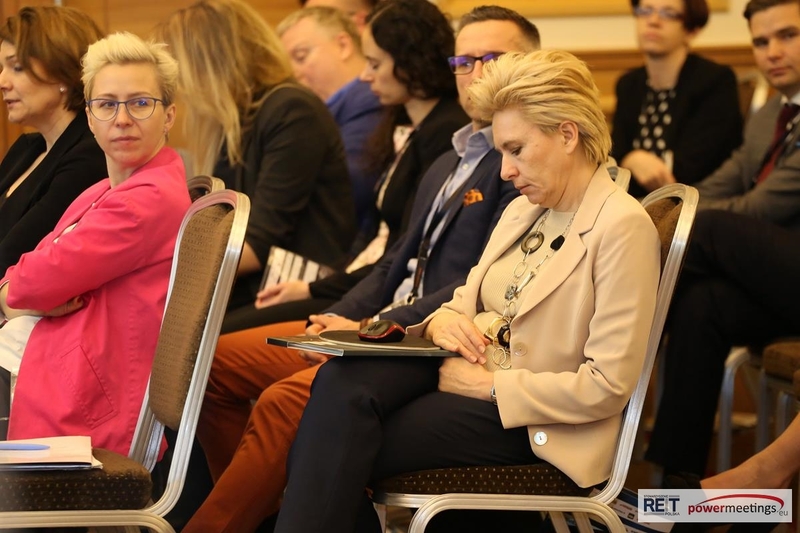 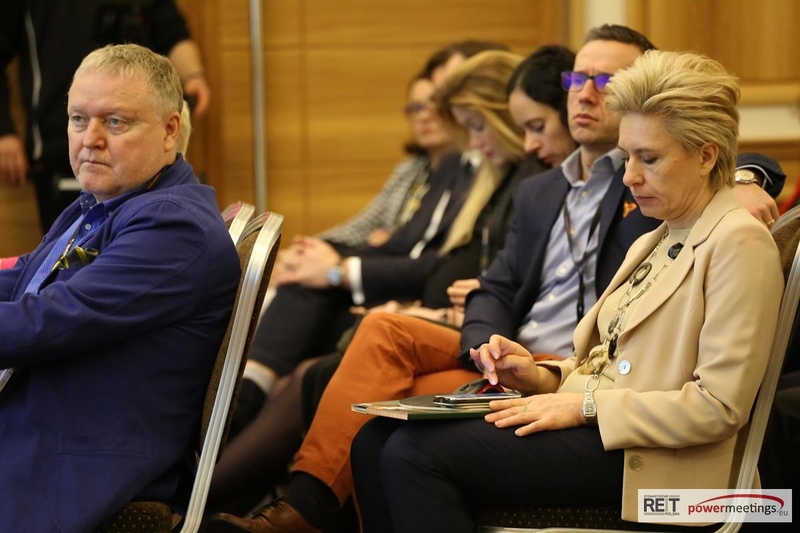 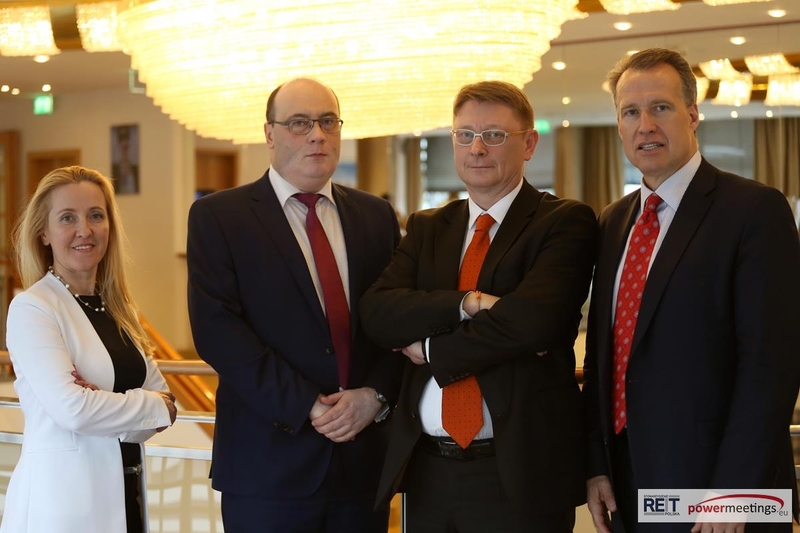 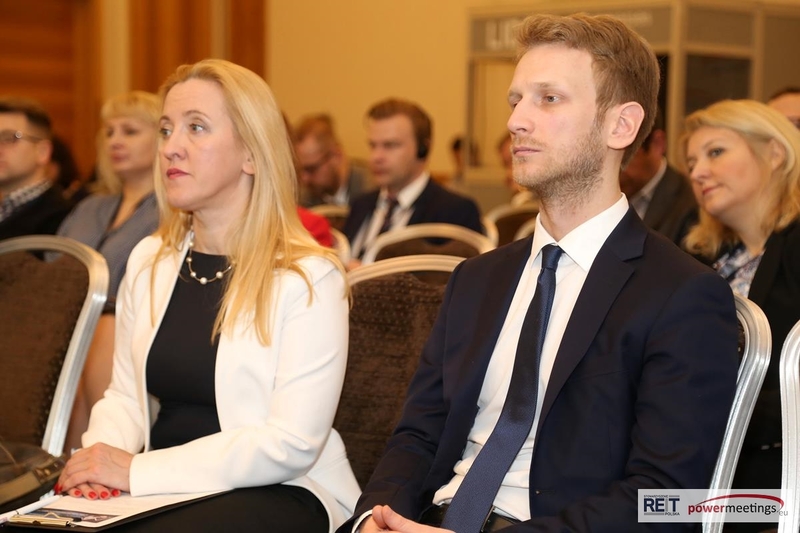 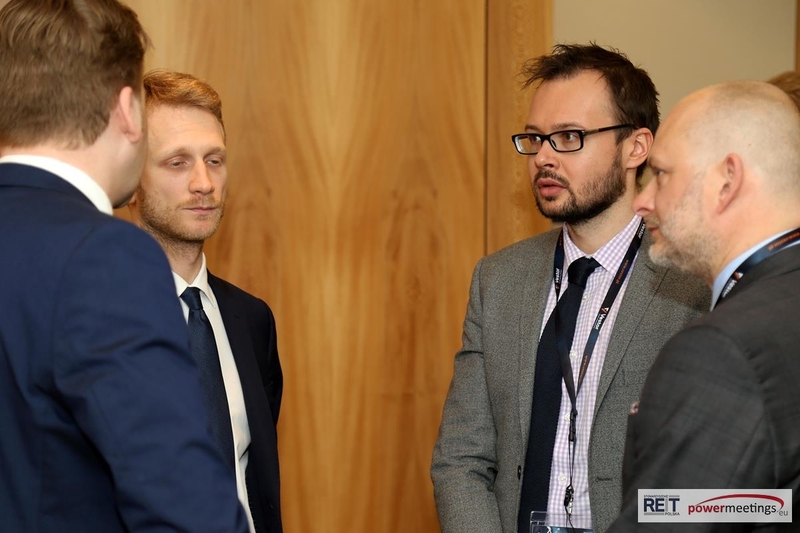 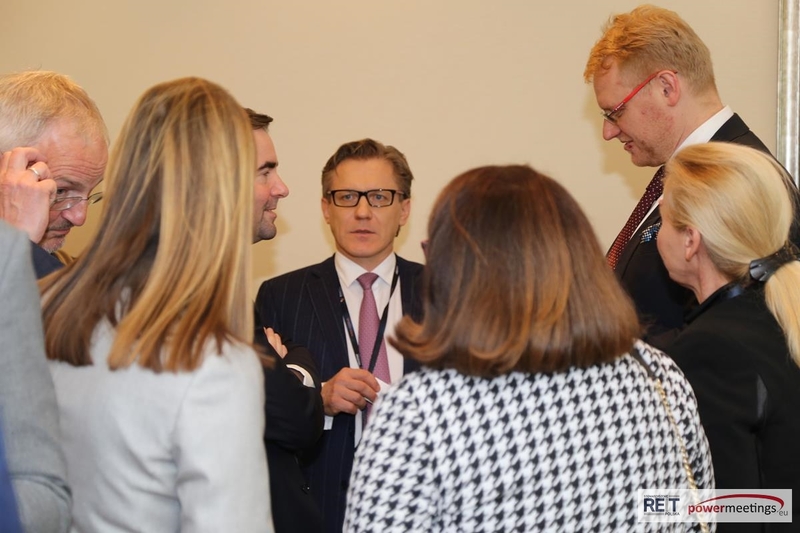 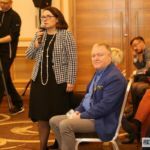 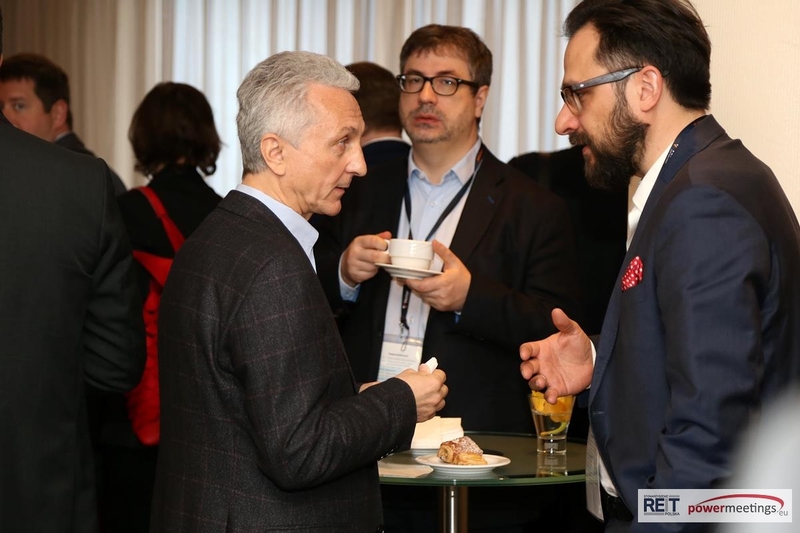 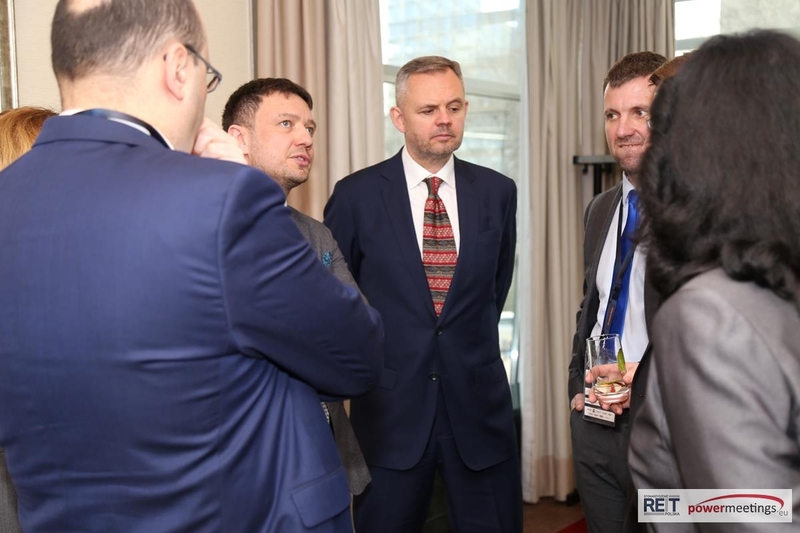 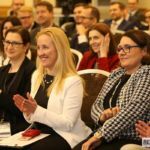 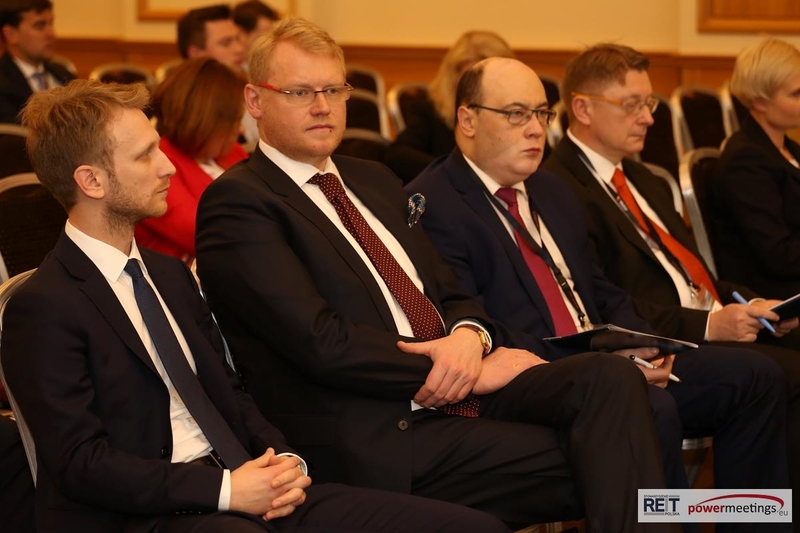 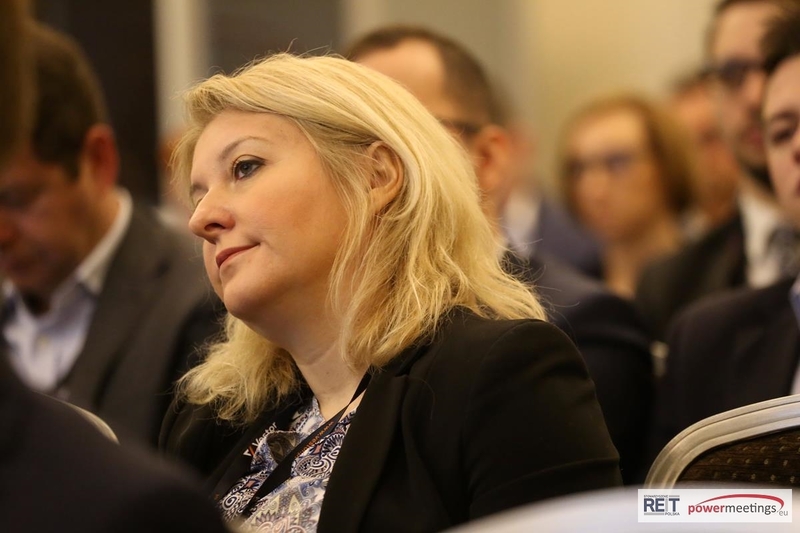 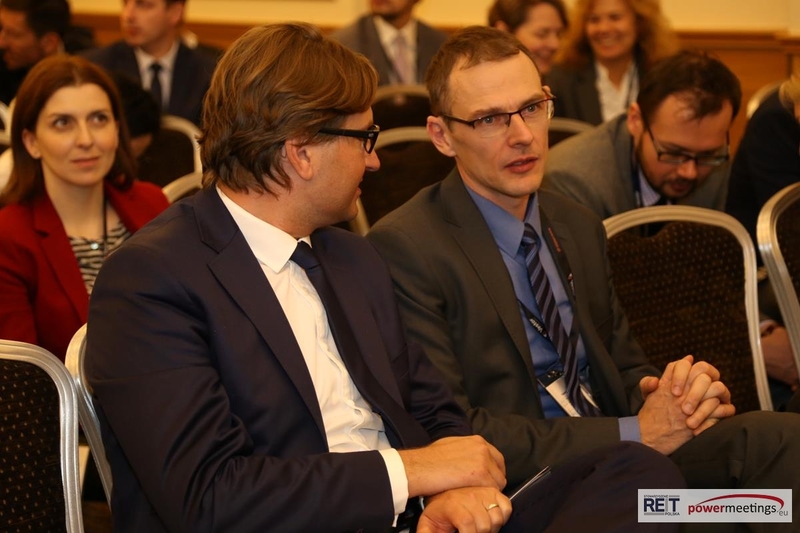 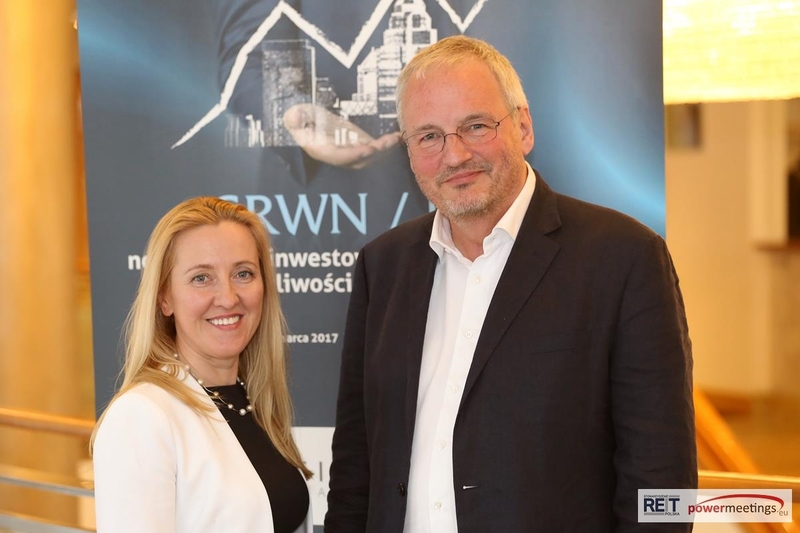 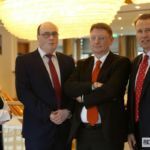 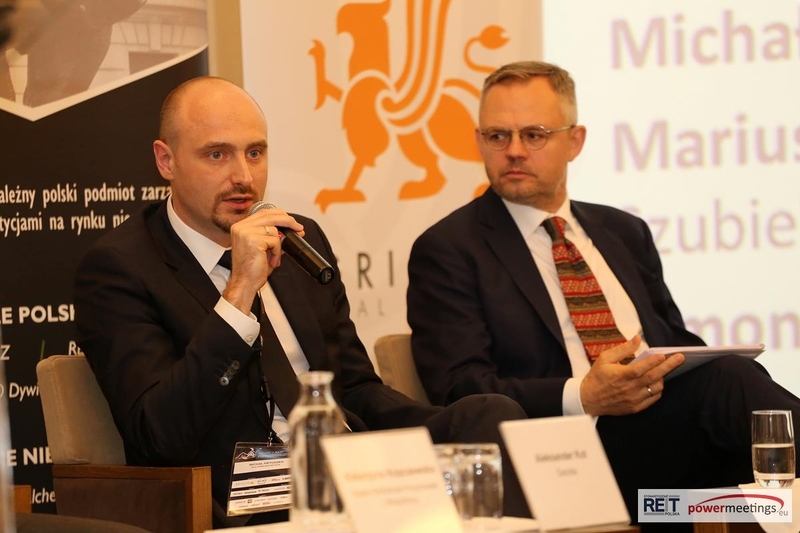 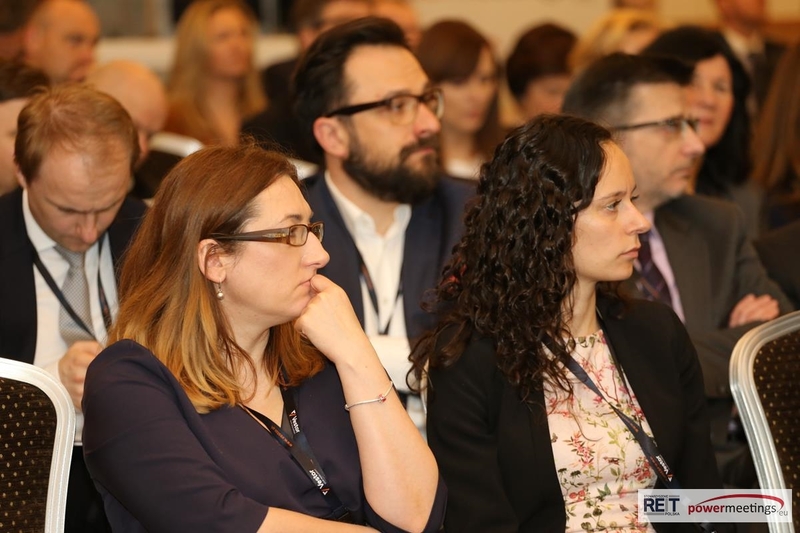 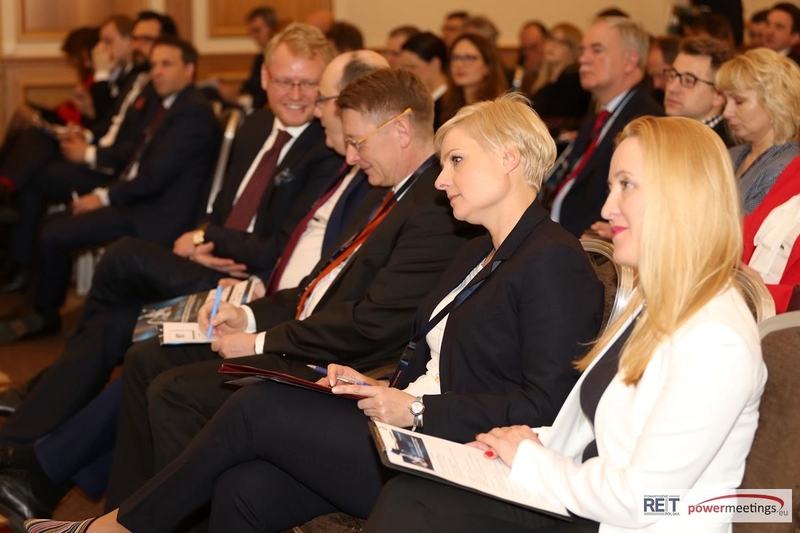 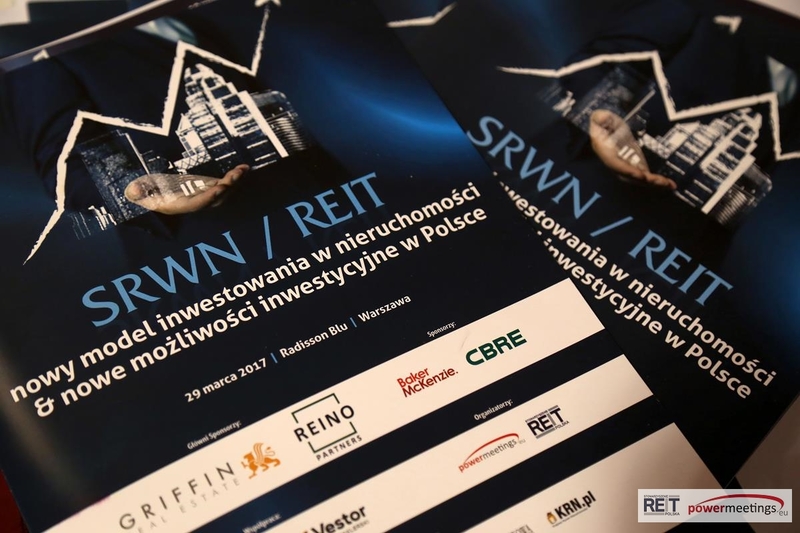 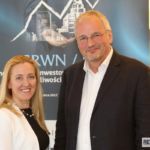 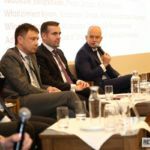 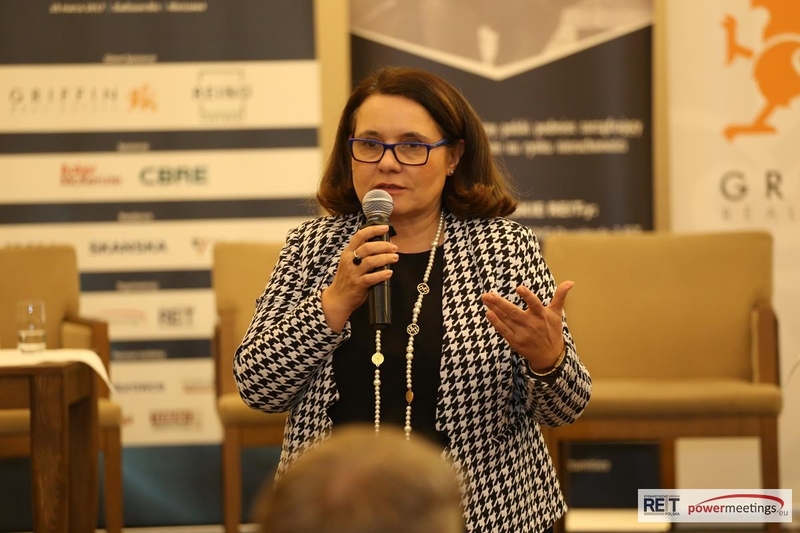 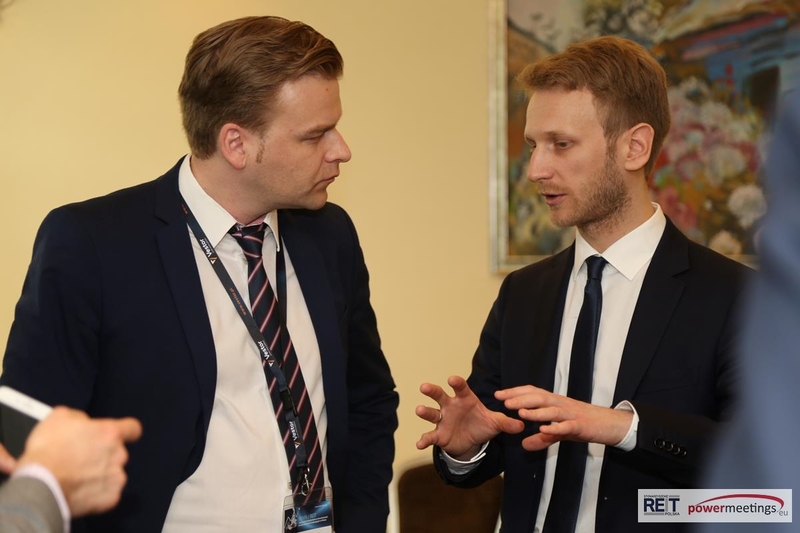 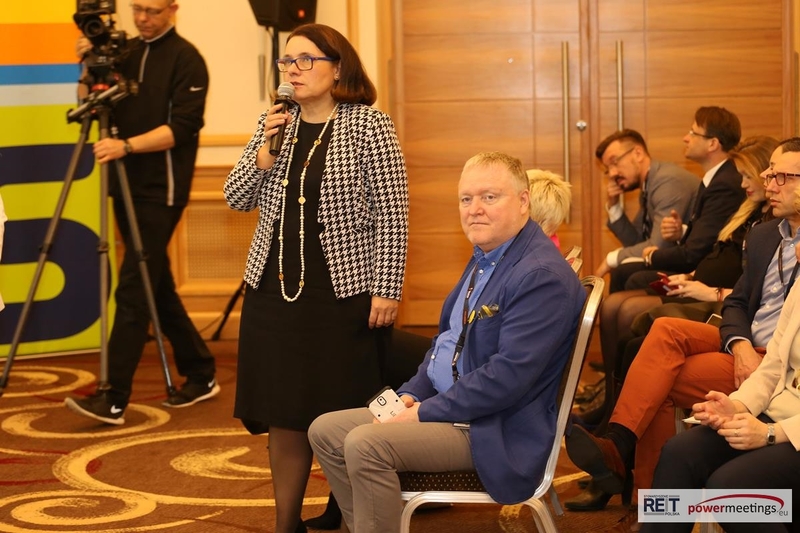 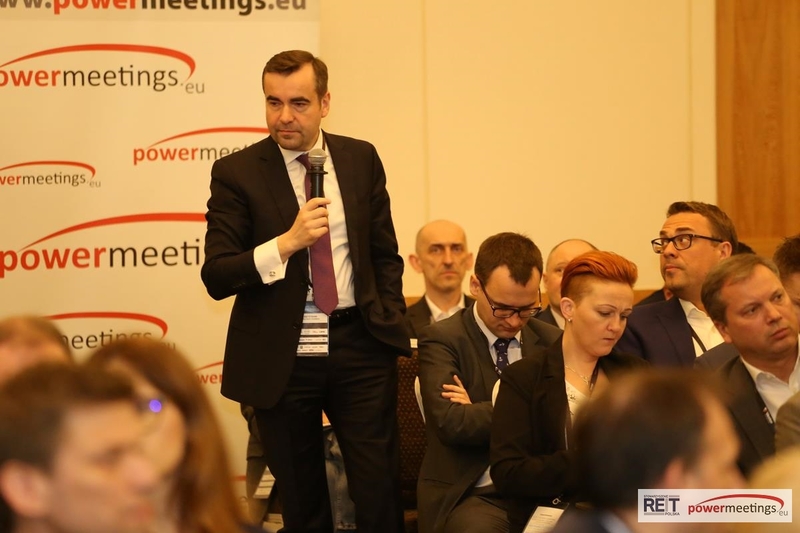 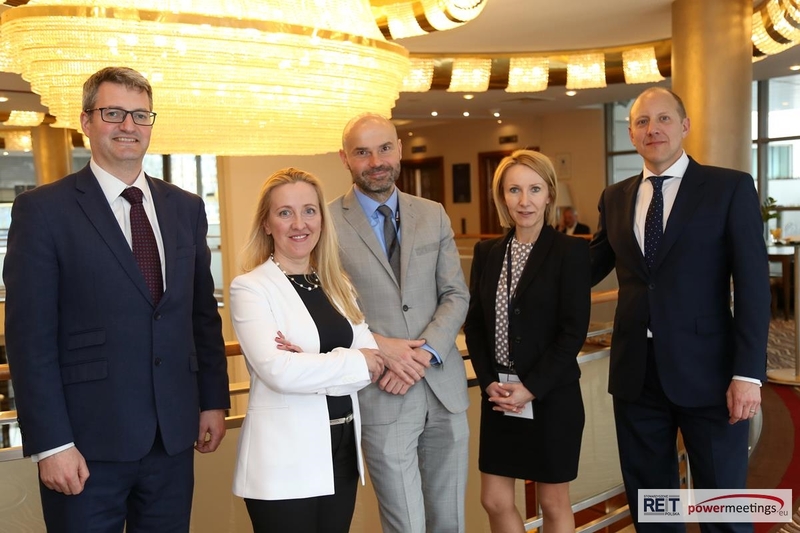 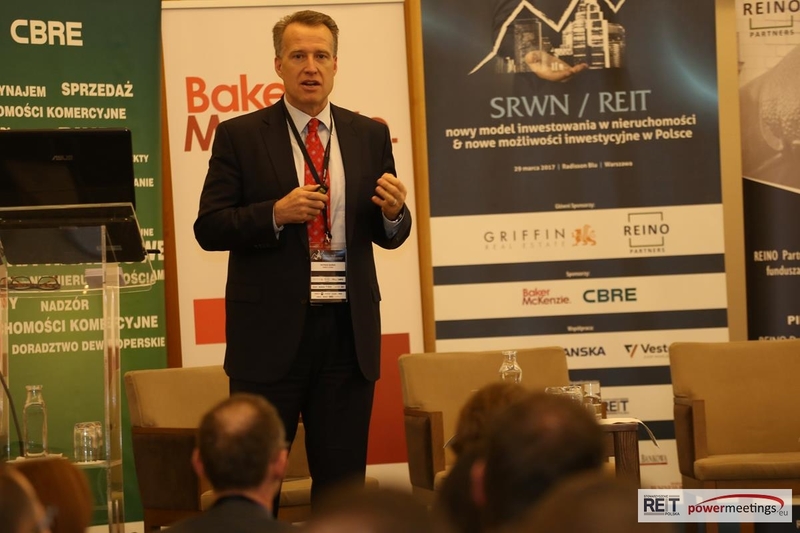 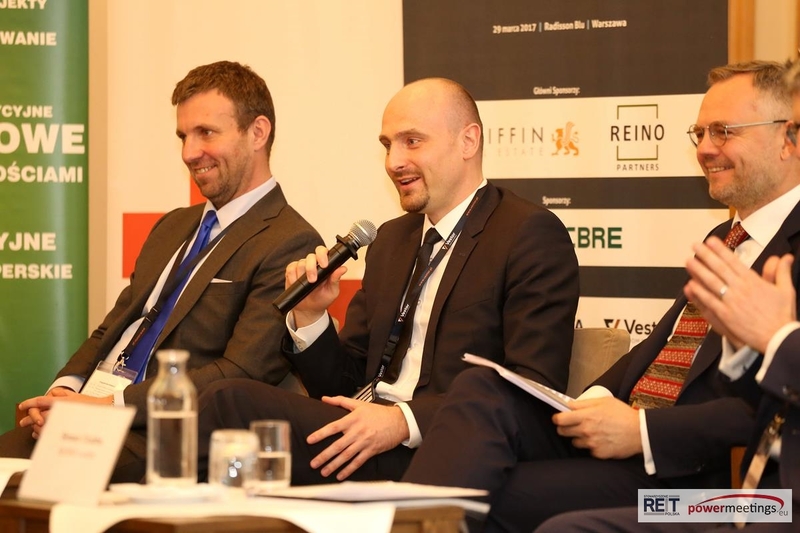 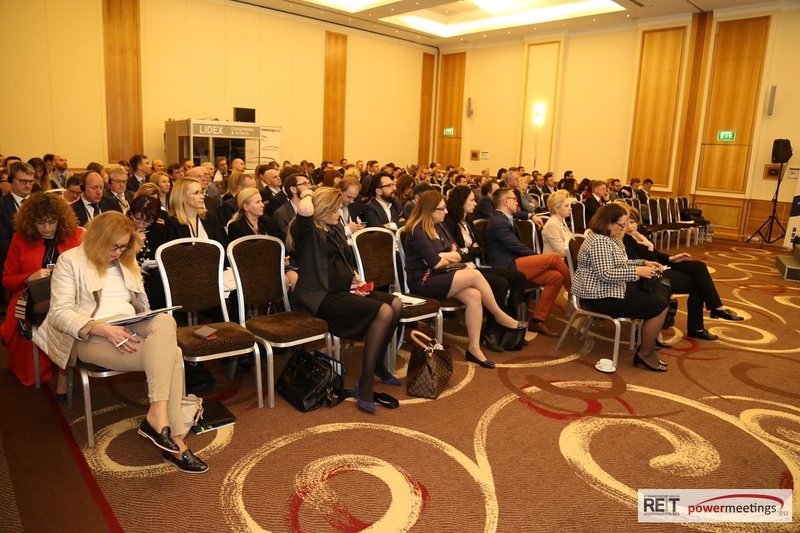 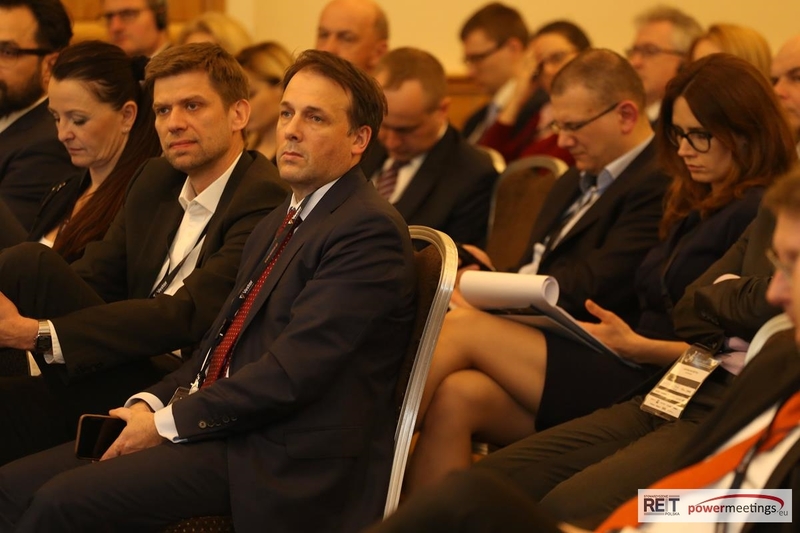 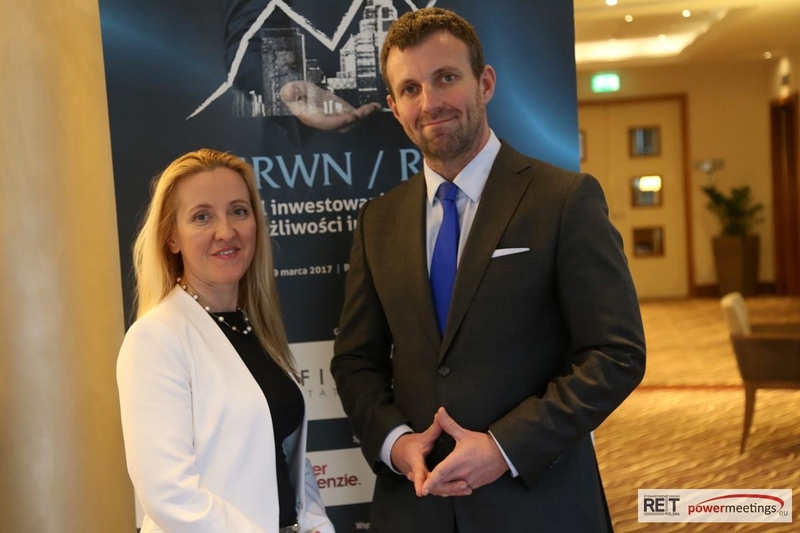 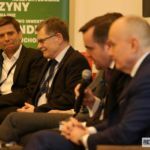 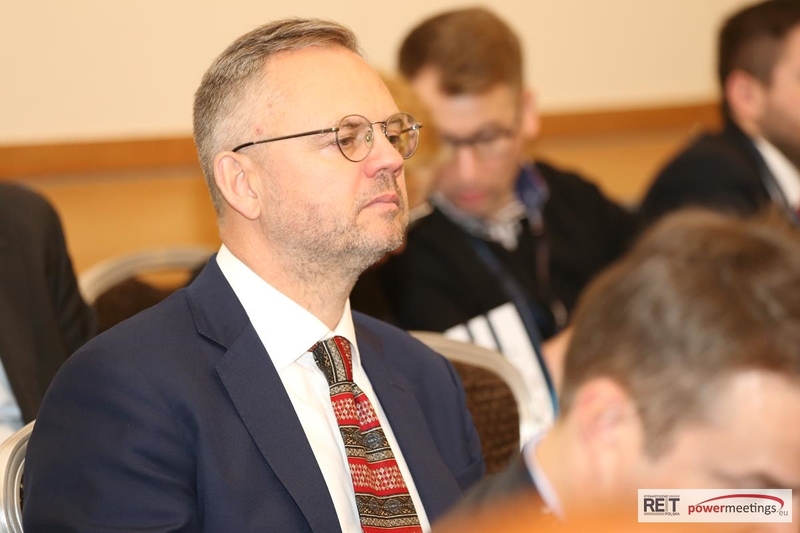 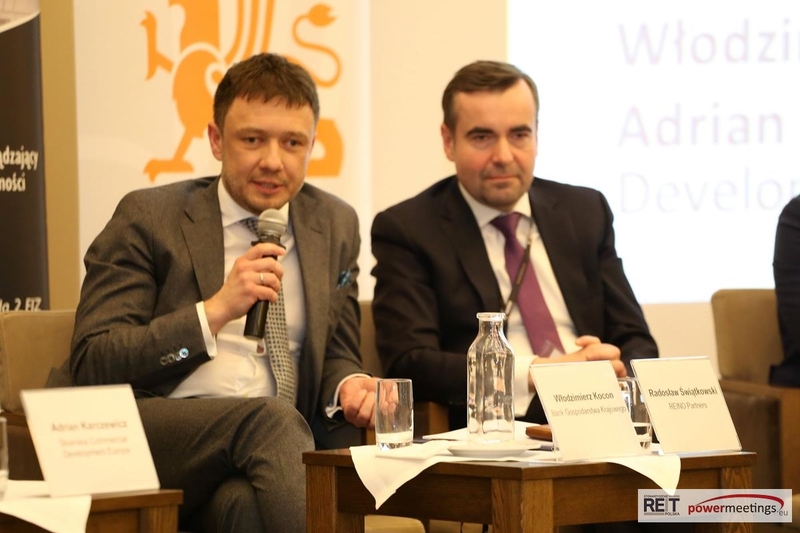 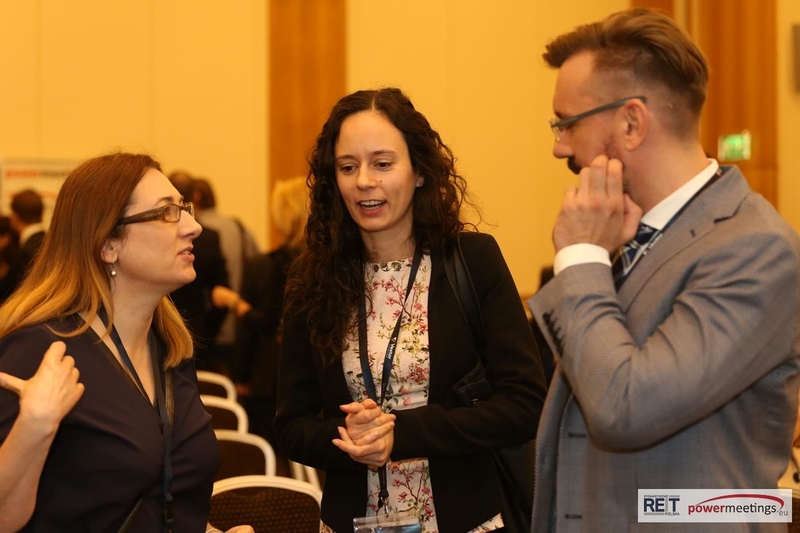 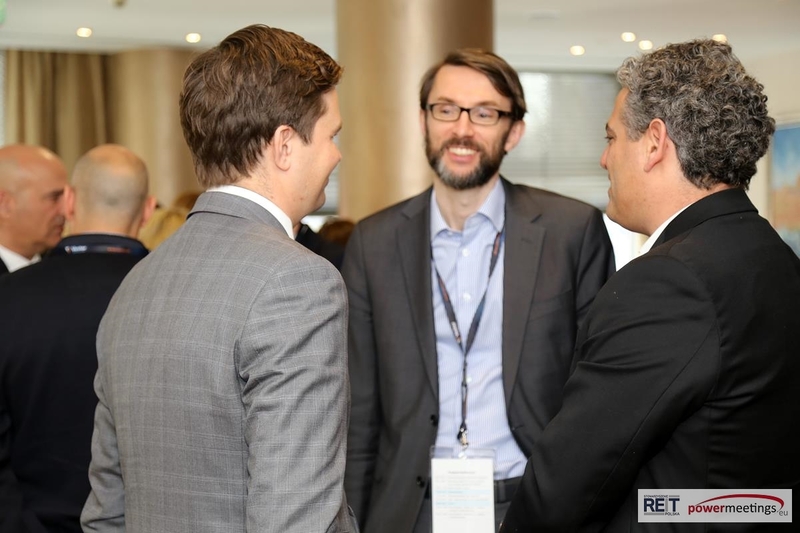 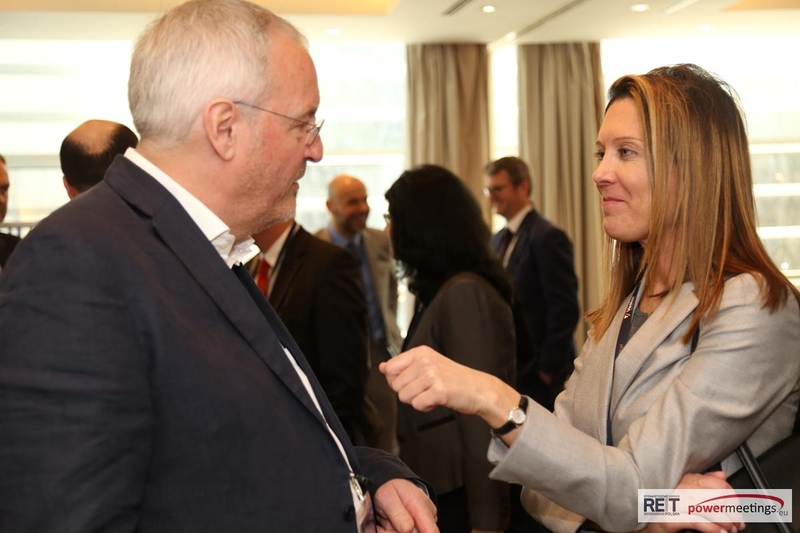 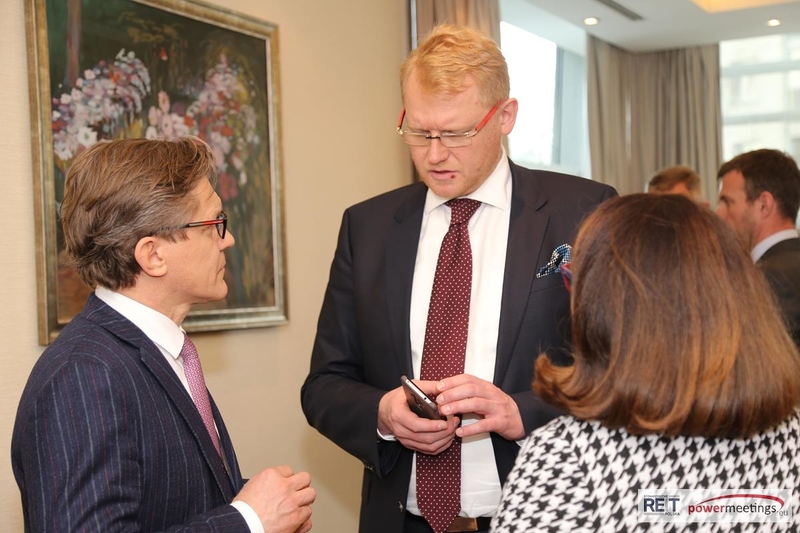 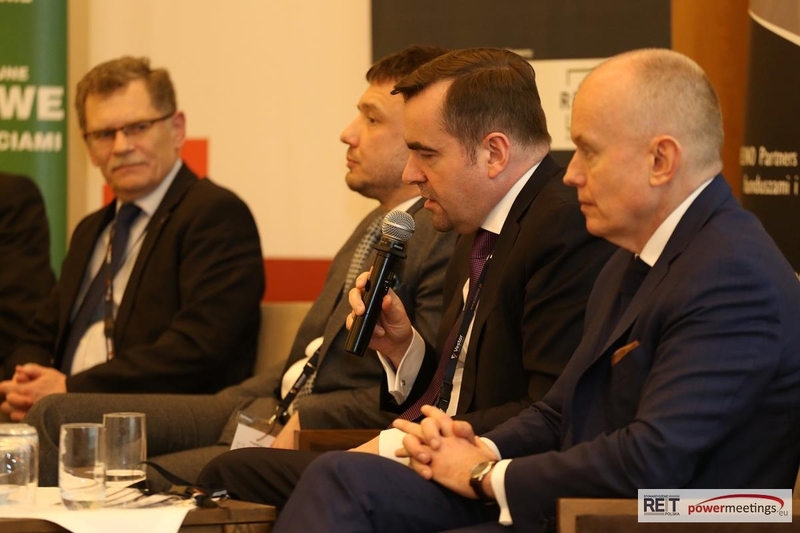 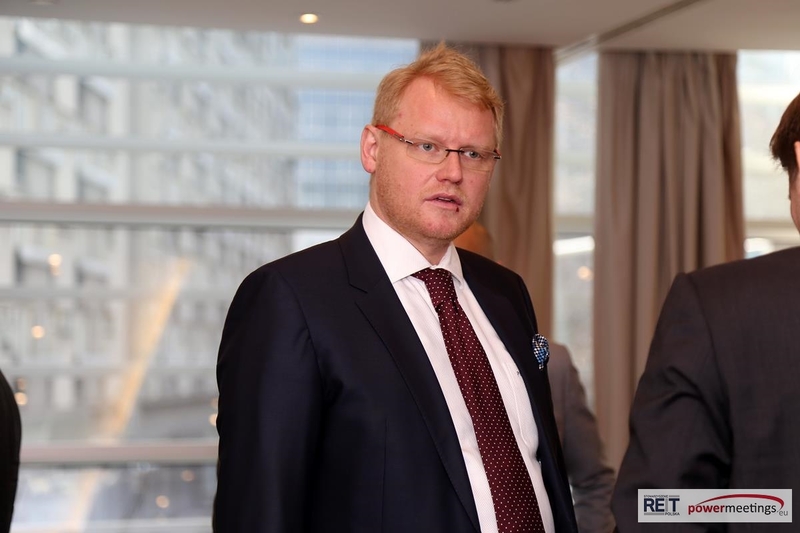 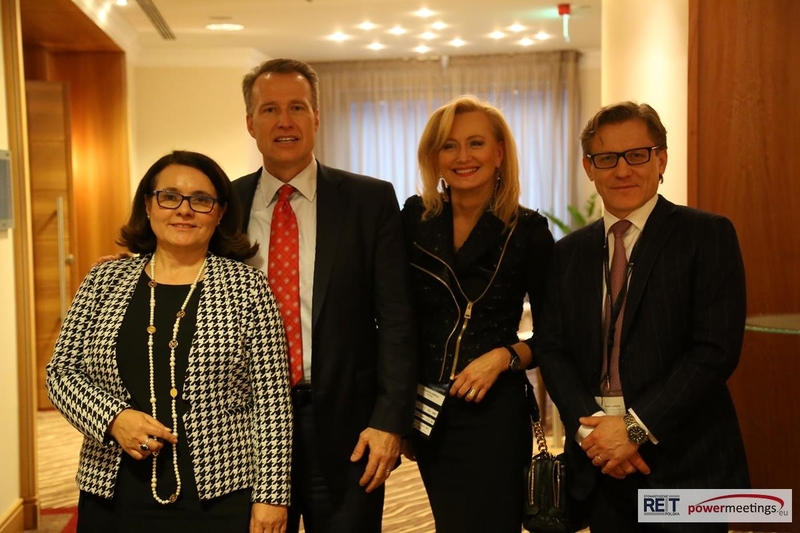 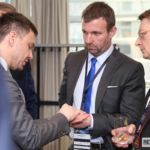 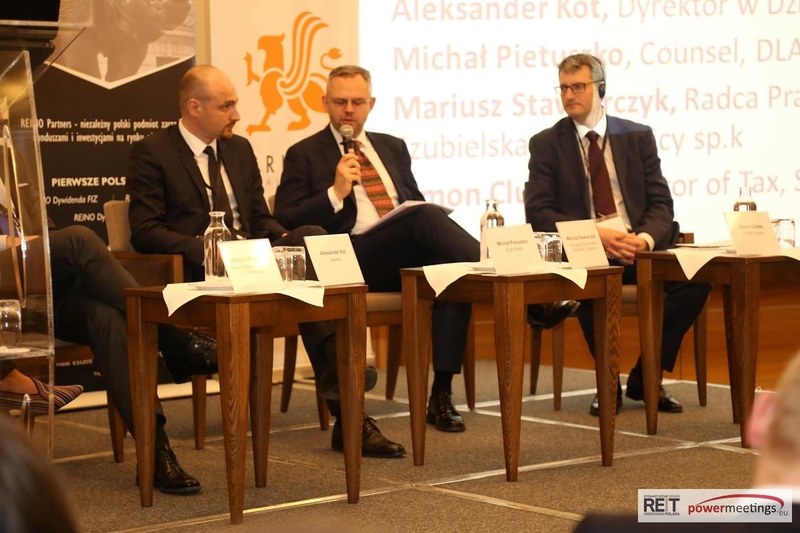 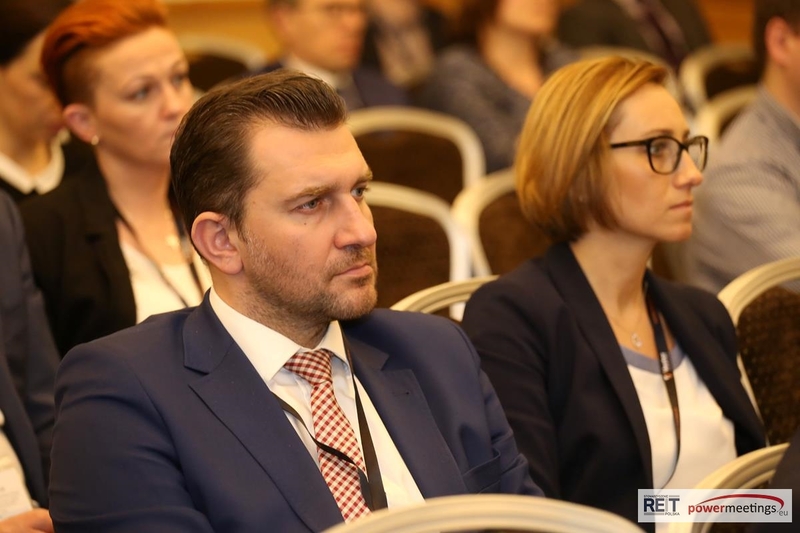 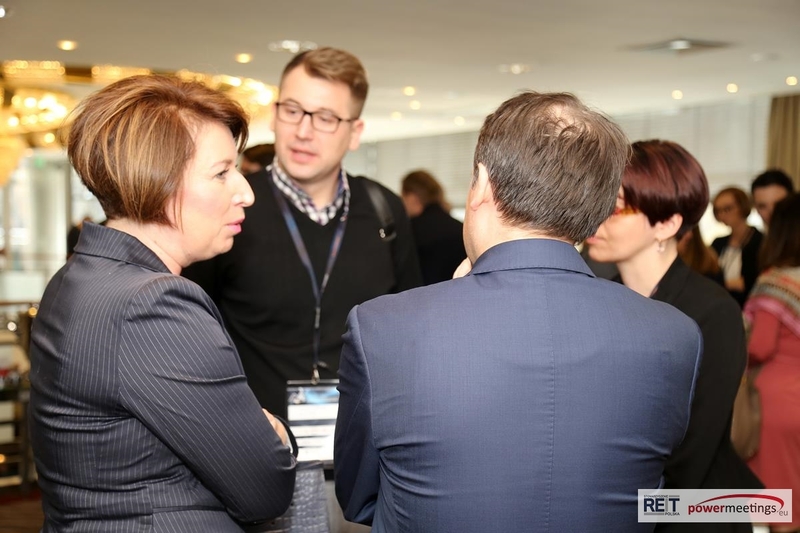 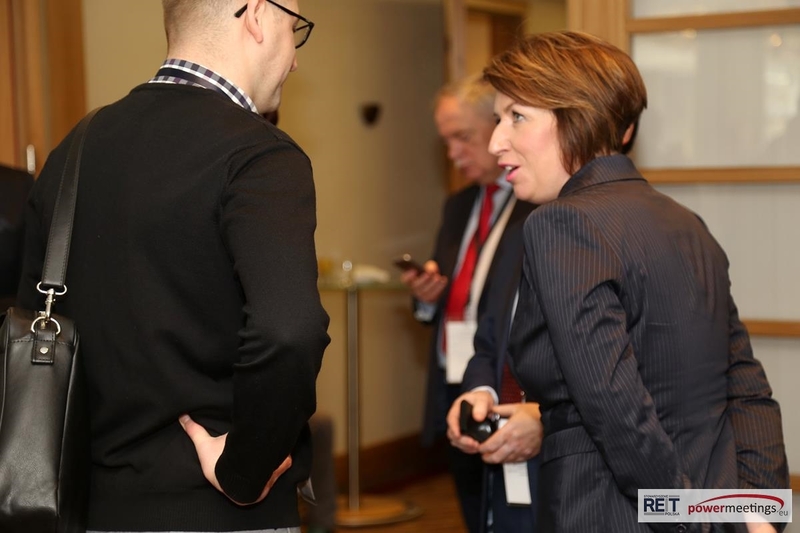 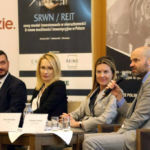 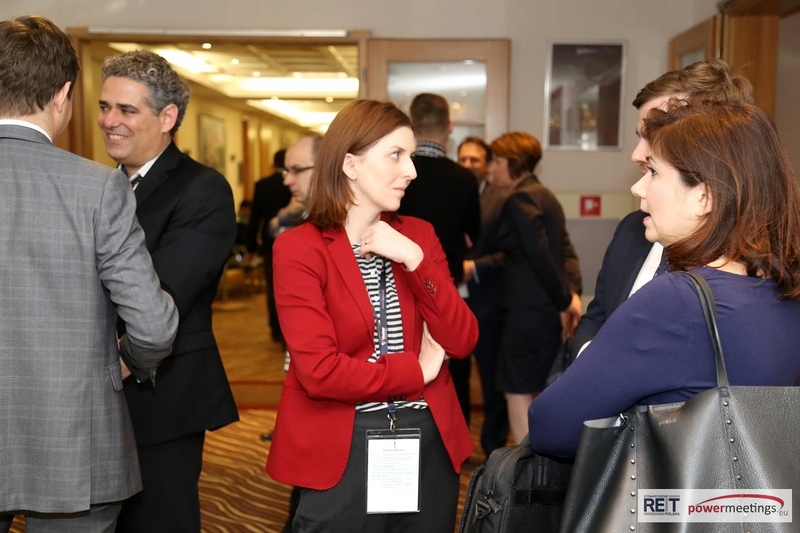 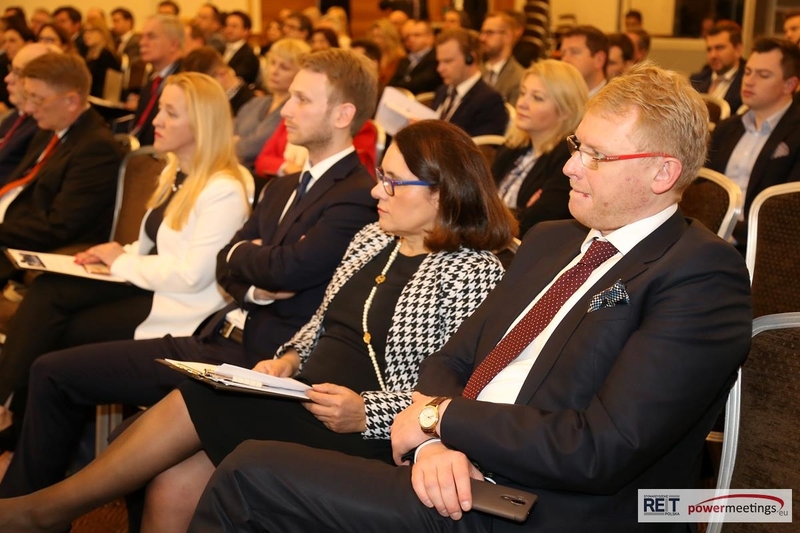 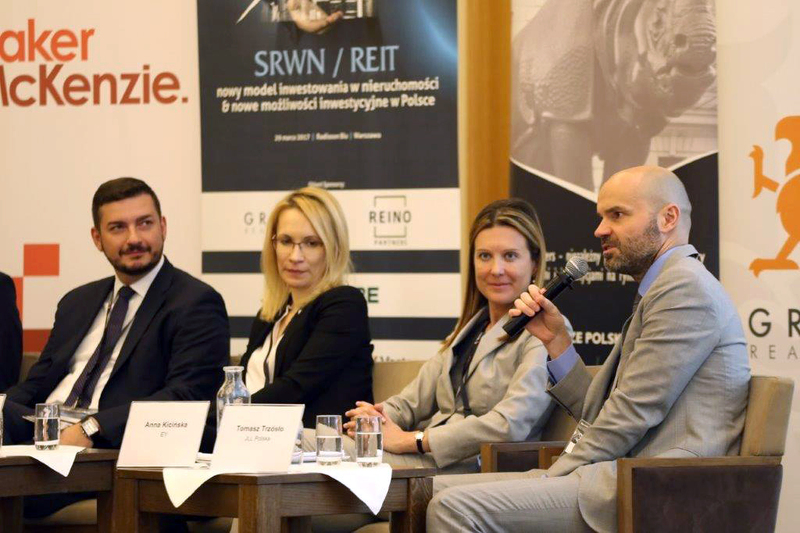 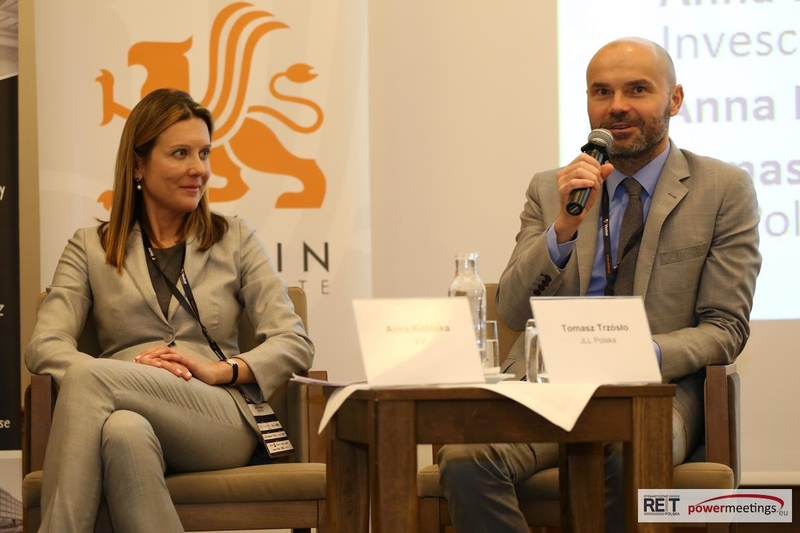 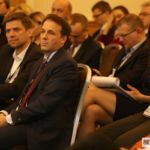 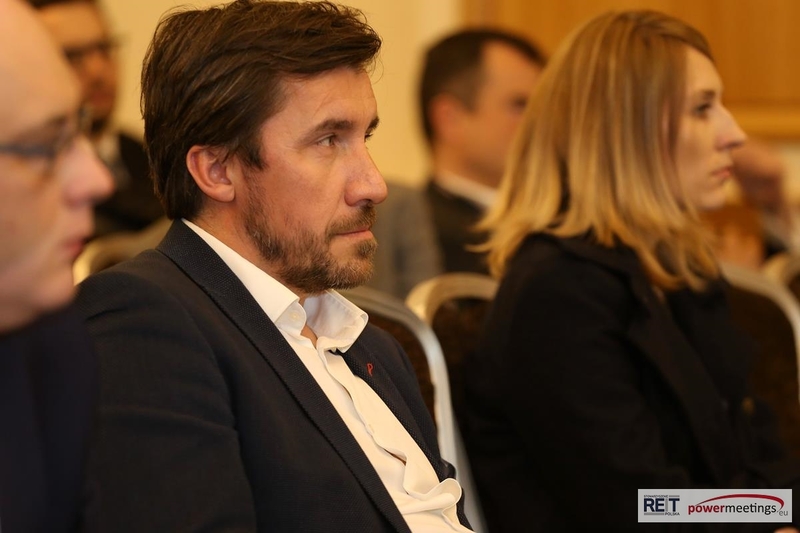 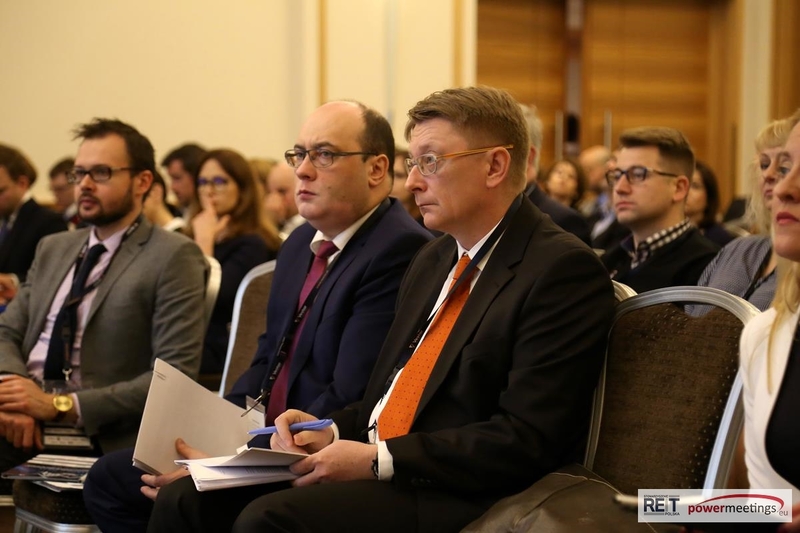 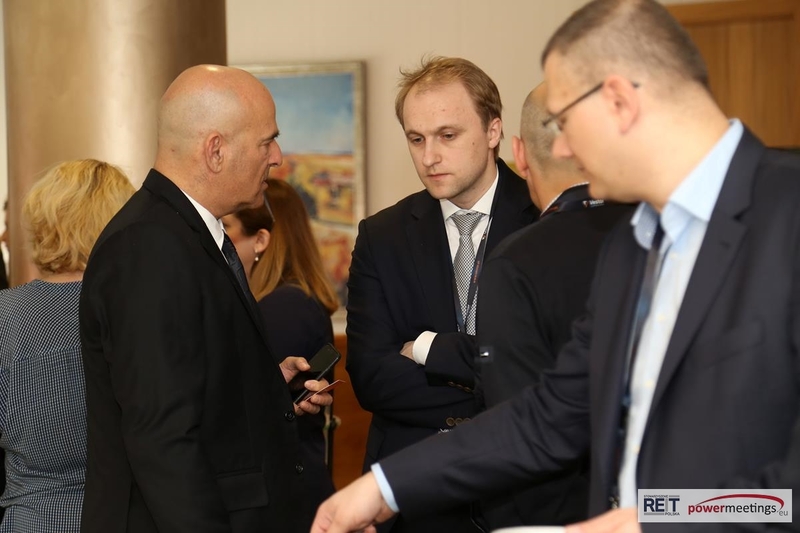 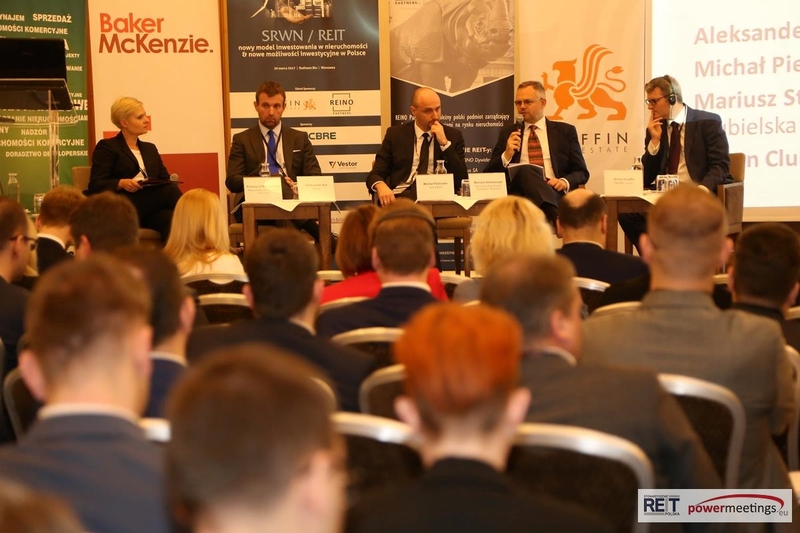 At the end of March, the REIT Poland Association and powermeetings.eu held a seminar entitled SRWN / REIT – a new investment model in real estate and new investment opportunities in Poland. 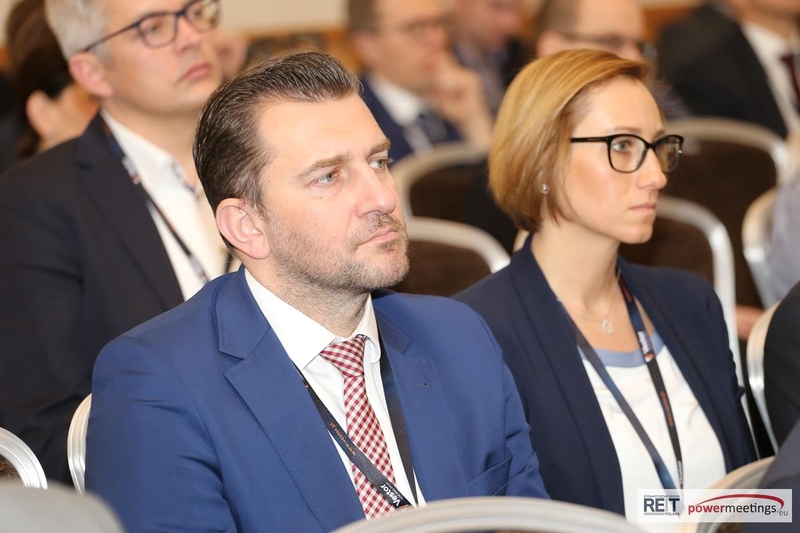 The event targeted commercial and residential property market professionals as well as the Ministry of Finance, which is currently working on the REIT Act. 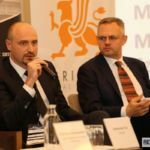 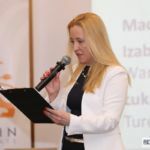 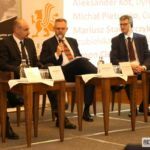 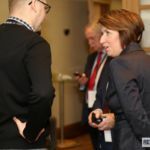 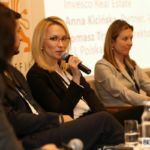 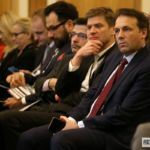 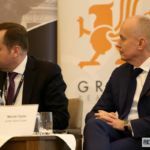 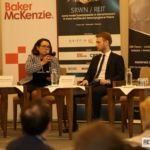 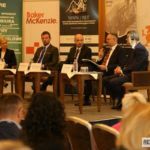 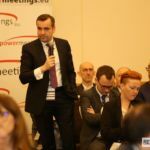 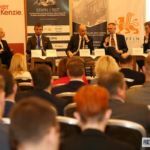 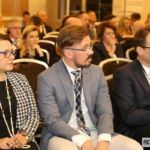 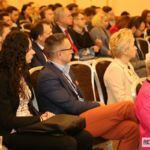 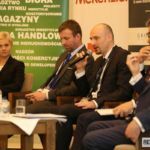 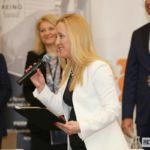 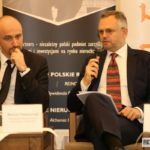 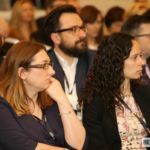 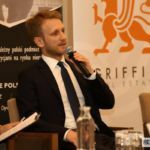 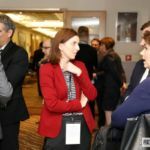 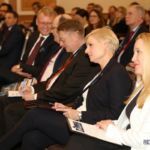 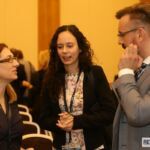 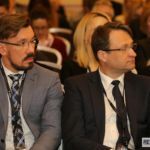 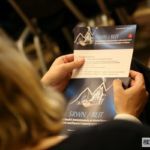 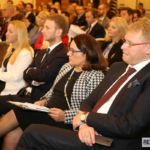 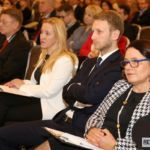 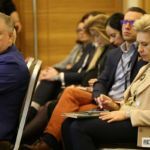 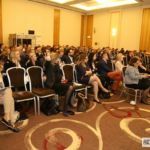 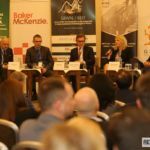 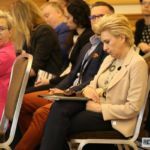 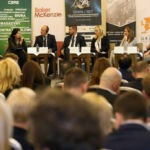 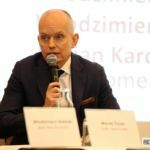 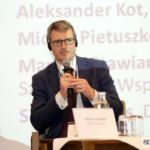 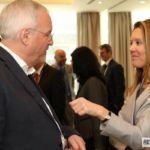 The conference was attended by 226 guests (129 companies, 8 countries), who came to hear the viewpoints of 23 speakers and panelists representing both governmental and leading consulting and investment firms from Poland and other EU countries. 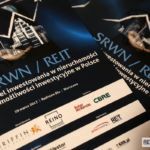 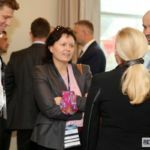 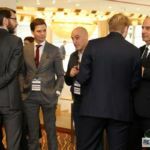 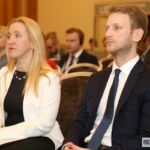 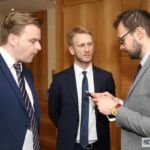 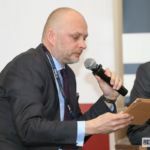 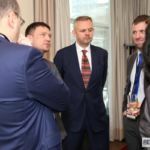 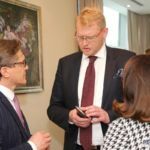 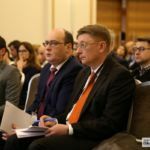 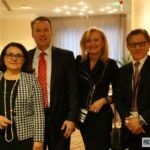 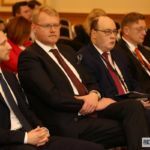 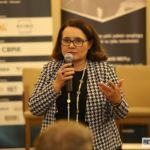 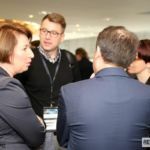 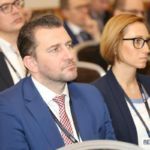 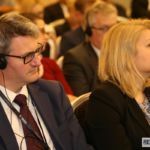 Attendees included representatives of the Ministry of Finance, the EBRD and EPRA, the Bank Gospodarstwa Krajowego, BGK Nieruchomości, as well Polish companies interested in introducing REIT structures. 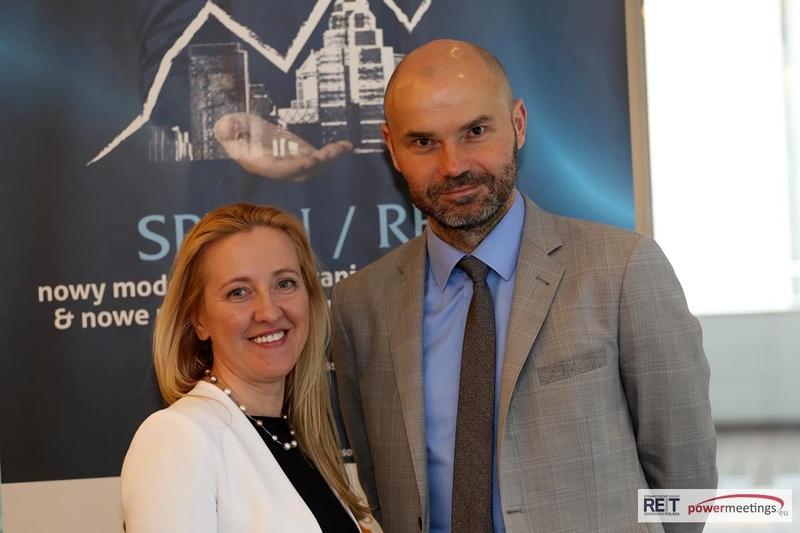 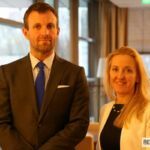 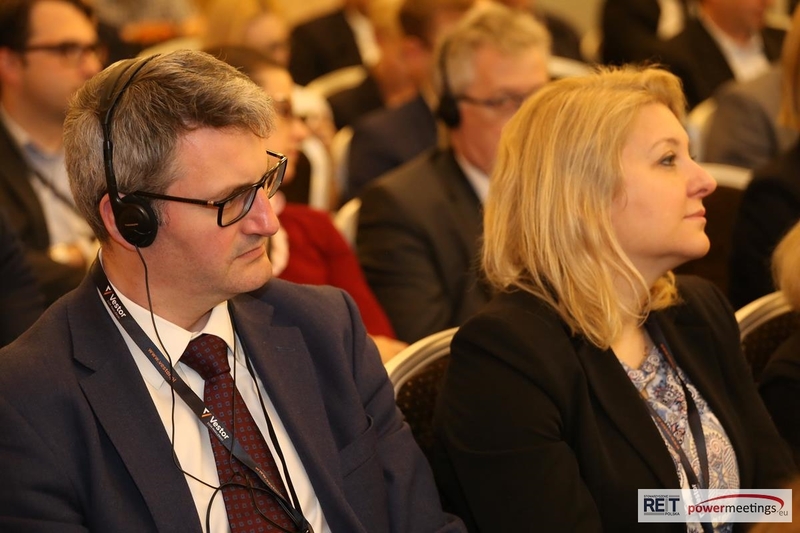 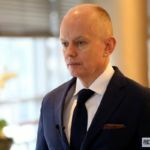 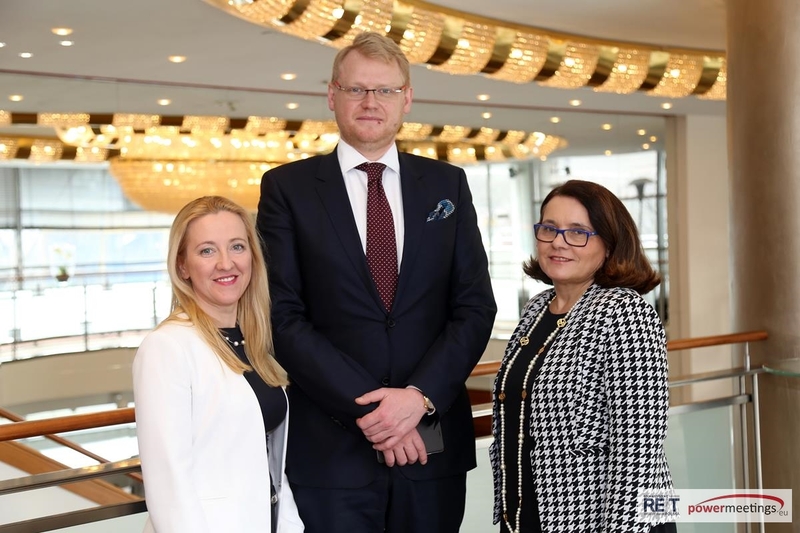 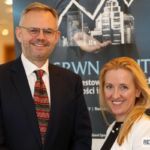 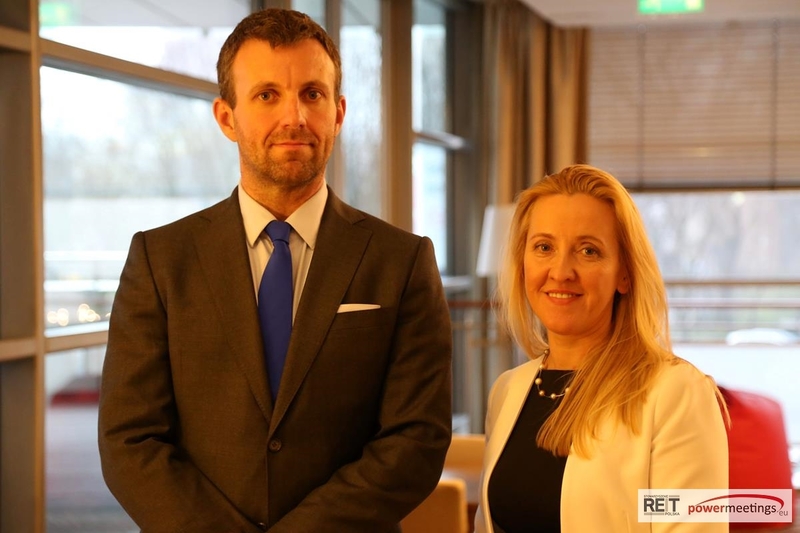 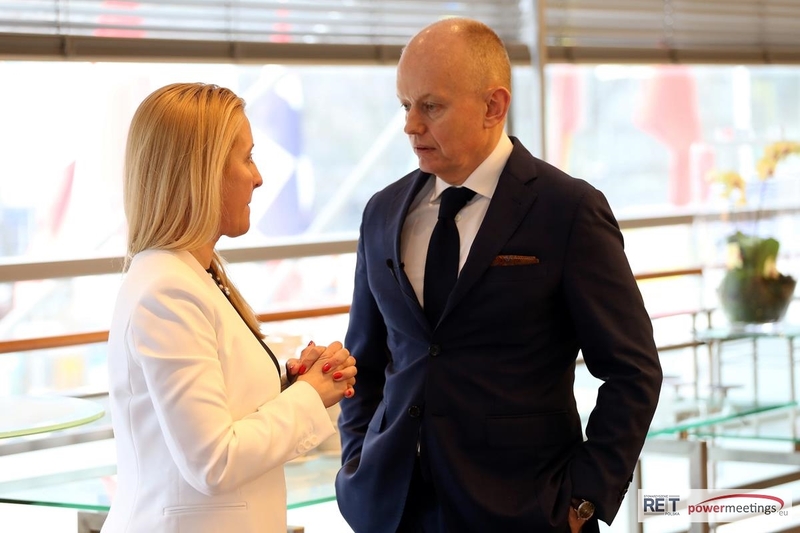 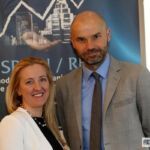 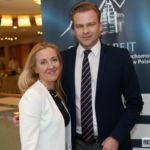 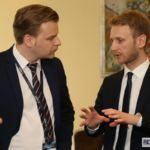 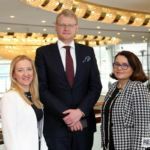 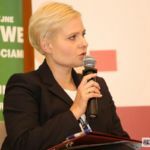 The meeting was opened by the Undersecretary of State in the Ministry of Finance, Paweł Gruza together with Małgorzata Kosińska – President of the REIT Polska Association. 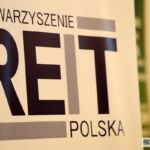 Ministry of Finance officials used the occasion to announce that REITs will be possible to set up beginning in January 2018, on the basis of a new act due to be presented in May 2017. 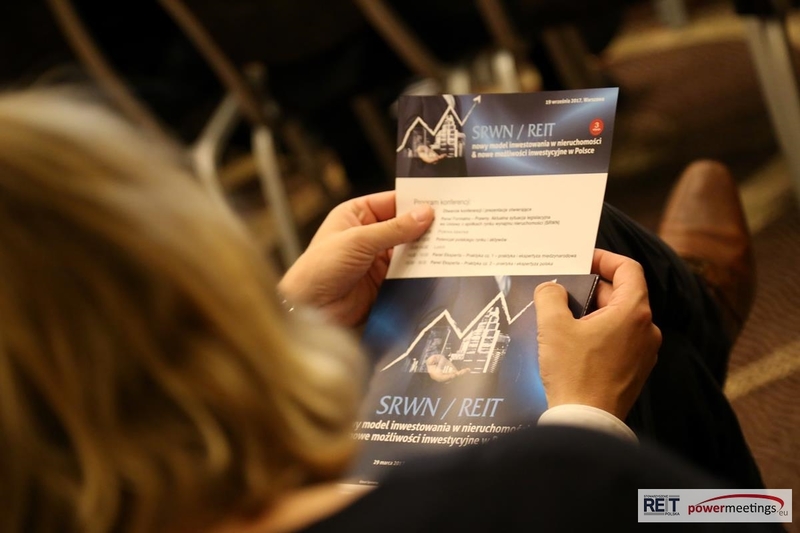 At the same time it should be mentioned that the introduction of REITs will be accompanied by the elimination of other options for tax optimization in the real estate industry. 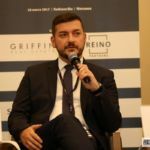 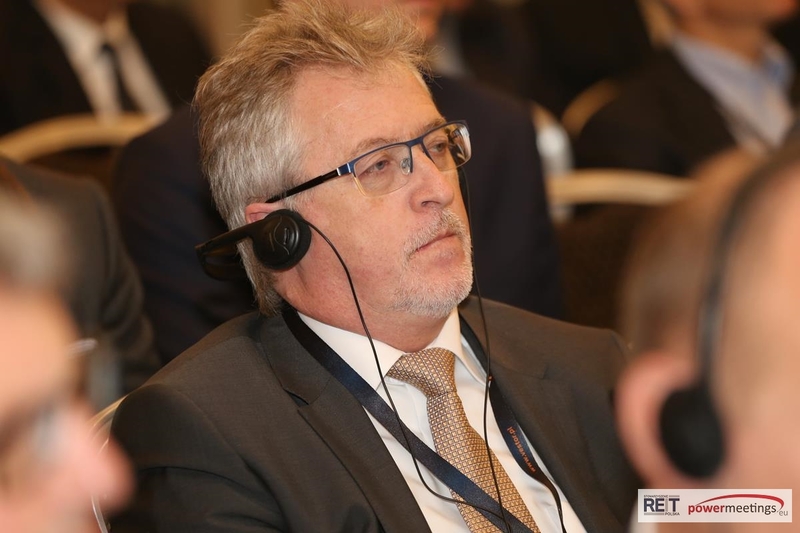 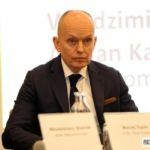 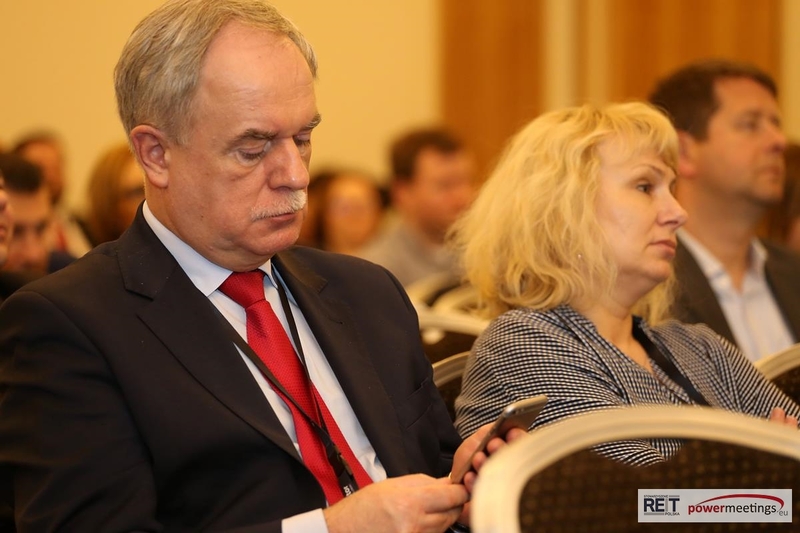 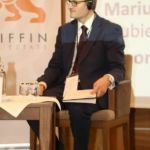 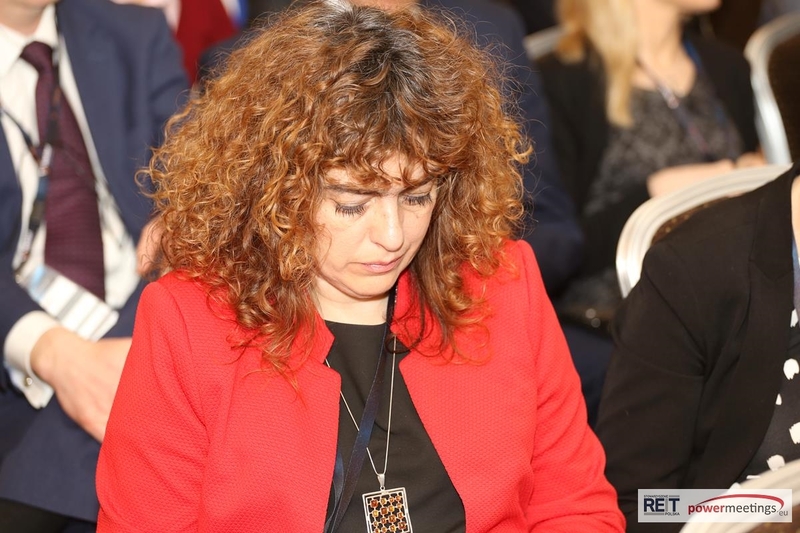 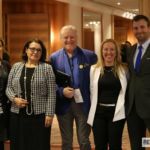 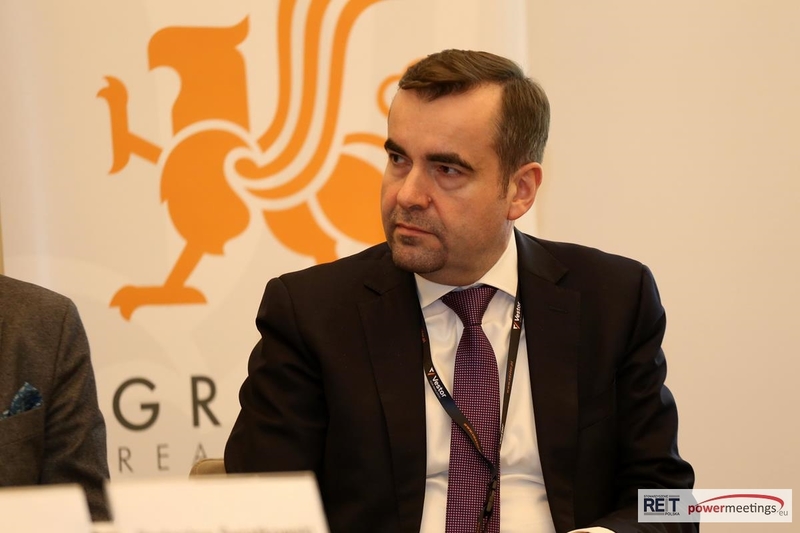 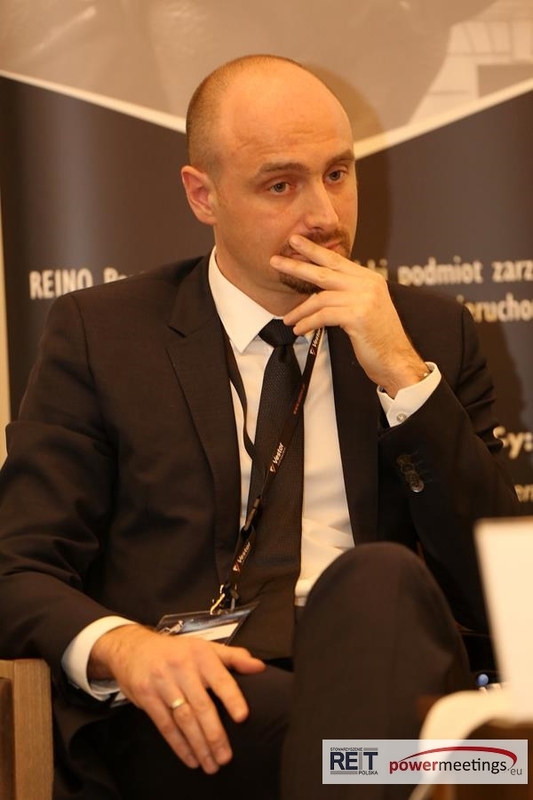 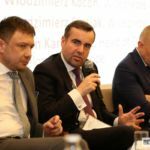 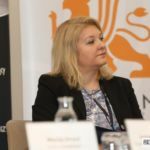 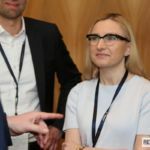 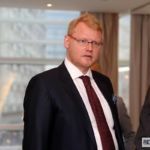 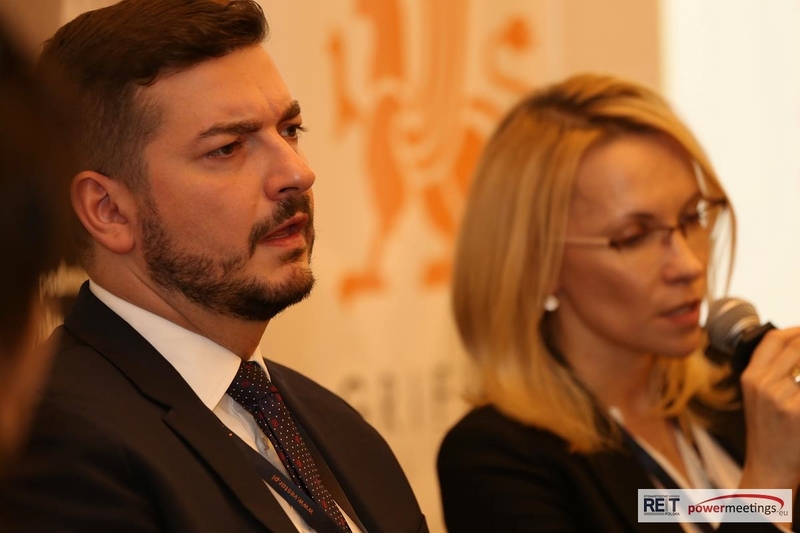 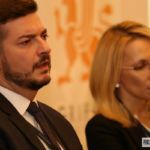 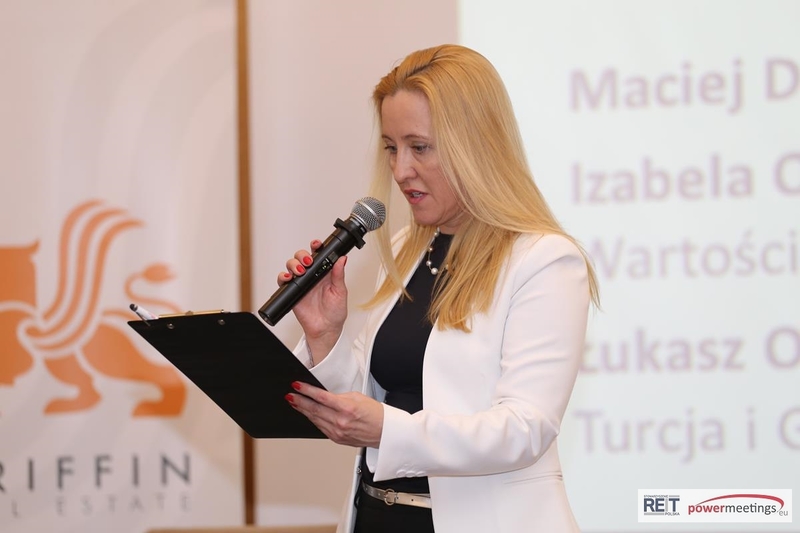 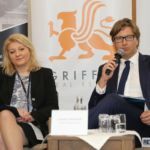 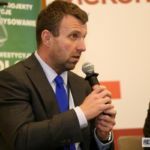 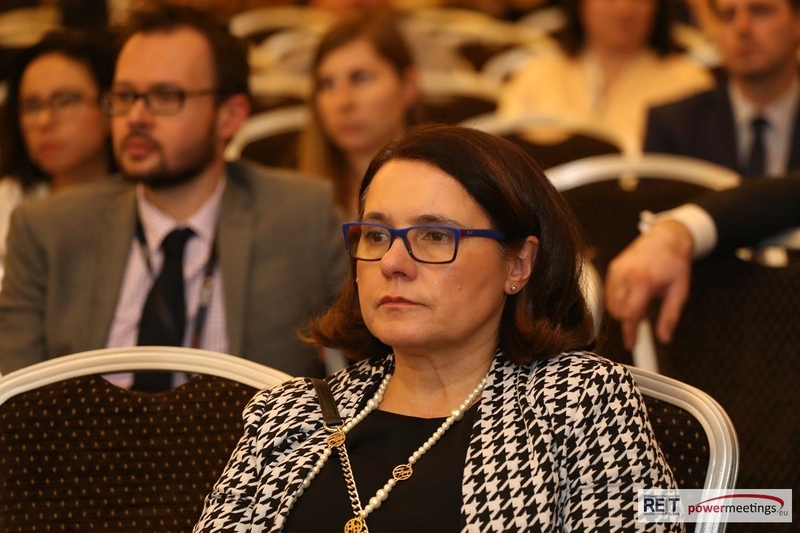 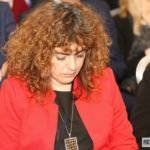 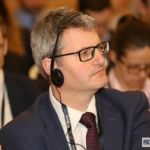 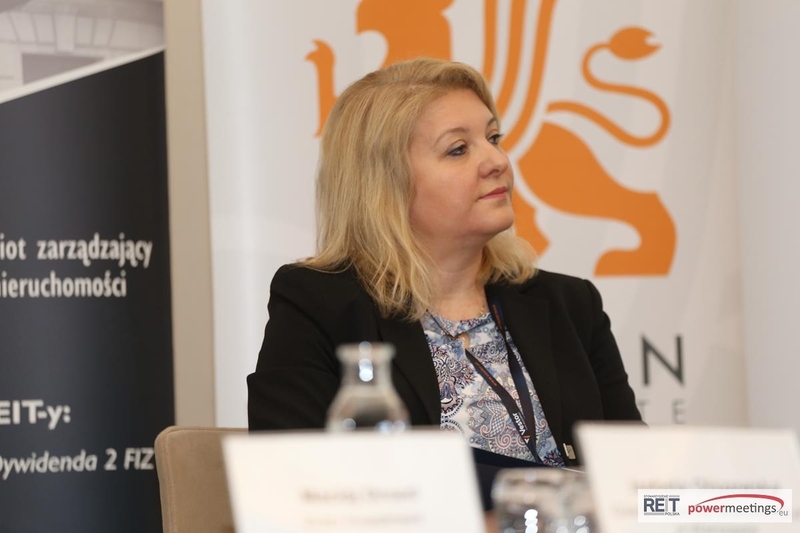 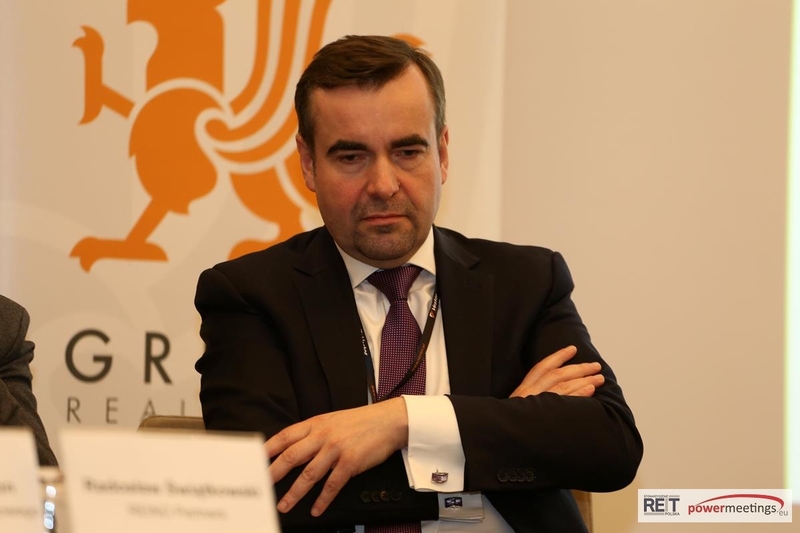 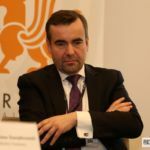 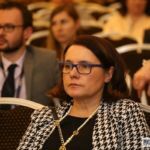 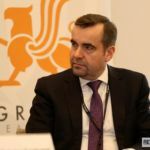 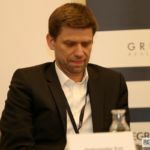 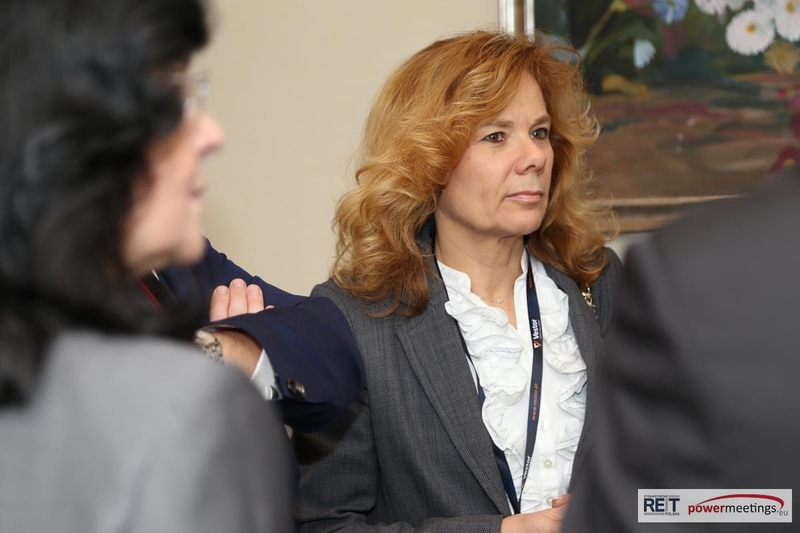 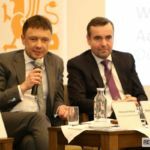 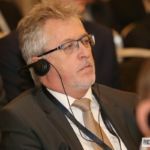 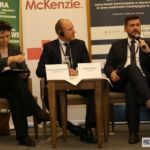 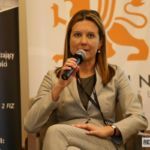 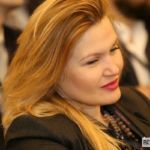 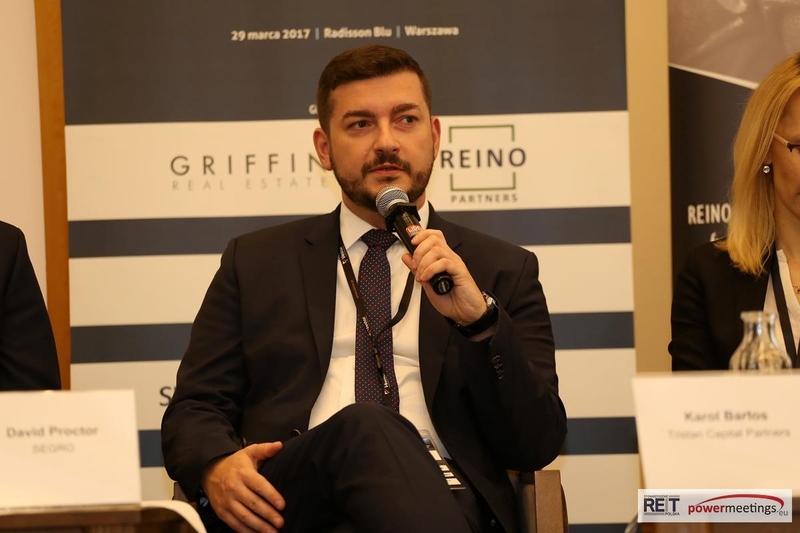 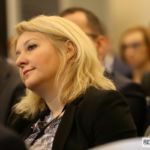 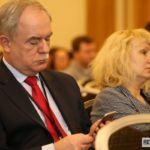 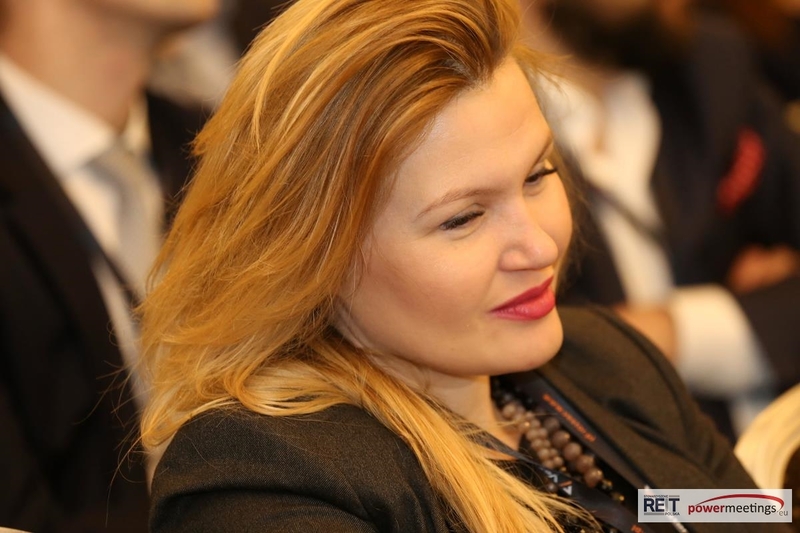 Minister Gruza stressed that in situations where companies are able to optimize property taxes in different ways, no tax incentives related to REITs will work. 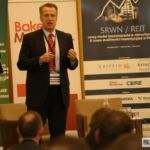 REITs will in consequence be associated purely with real estate investment, an activity which until now has been as a way to dodge taxes. 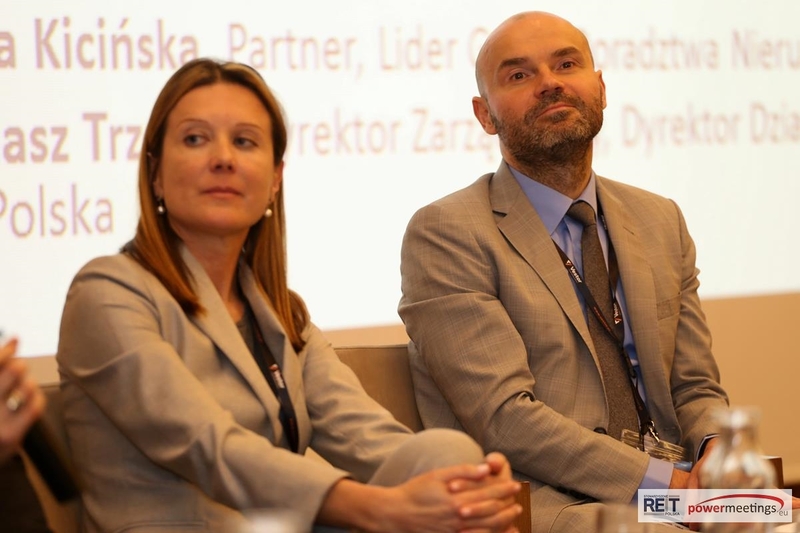 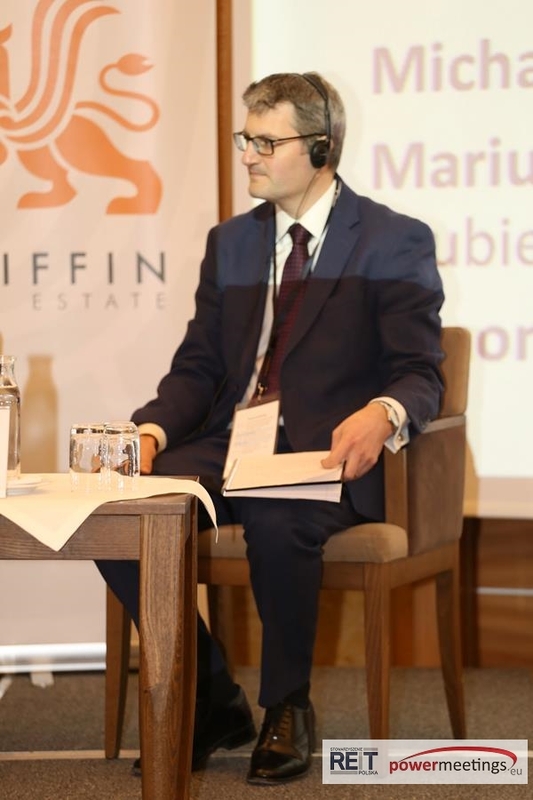 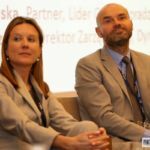 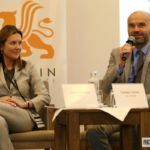 The next point of the conference was a discussion with Marcin Obroniecki, Deputy Director in the Department of Financial Market Development conducted by Małgorzata Kosińska. 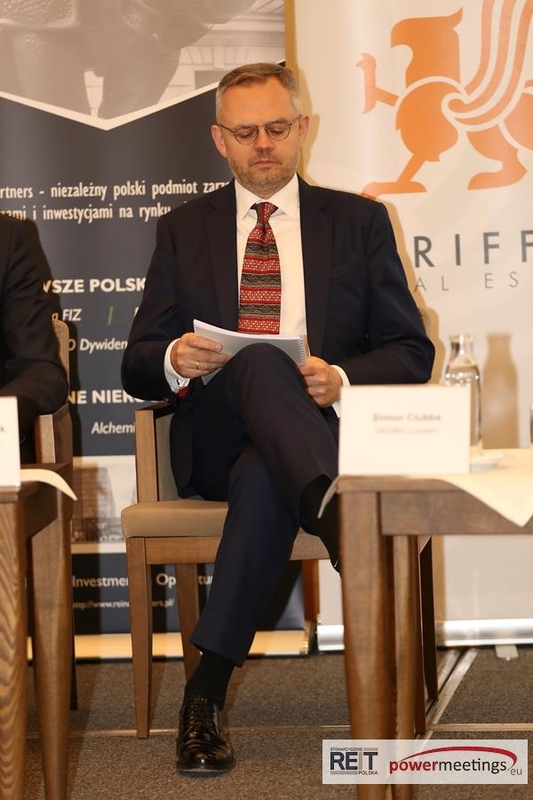 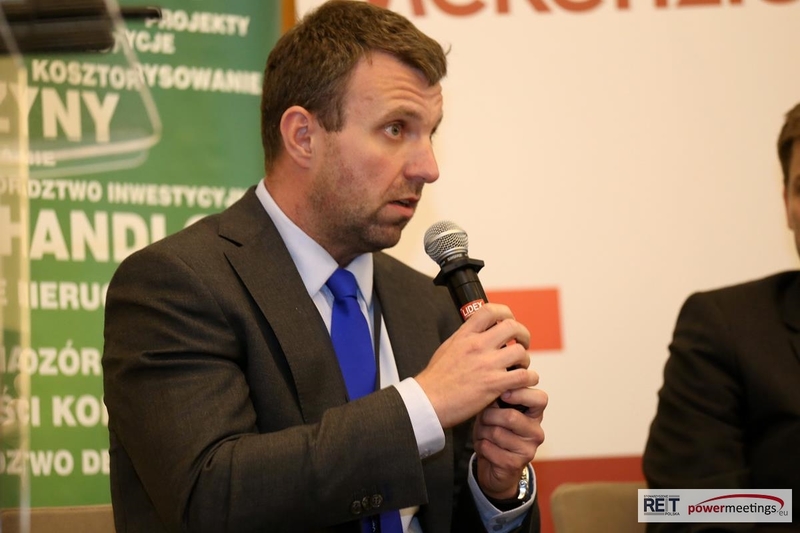 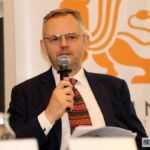 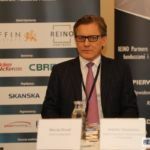 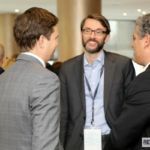 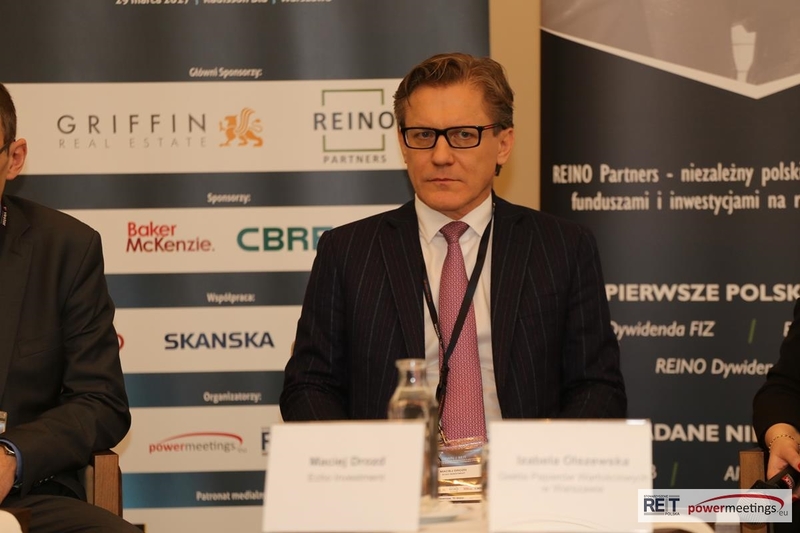 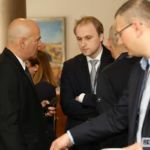 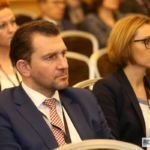 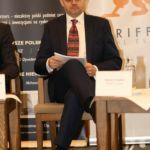 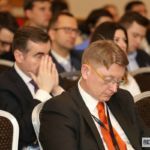 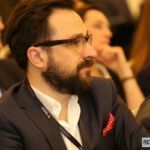 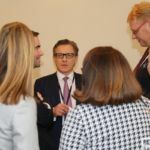 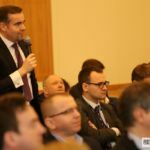 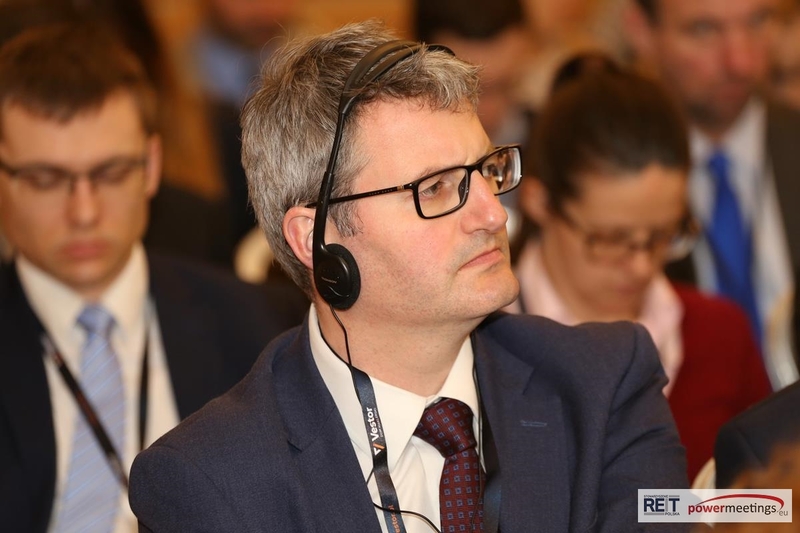 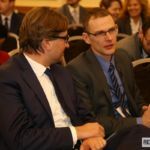 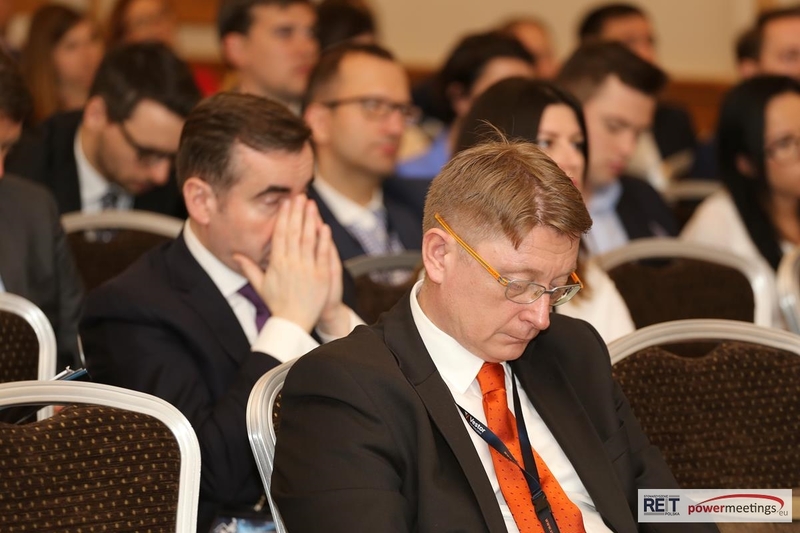 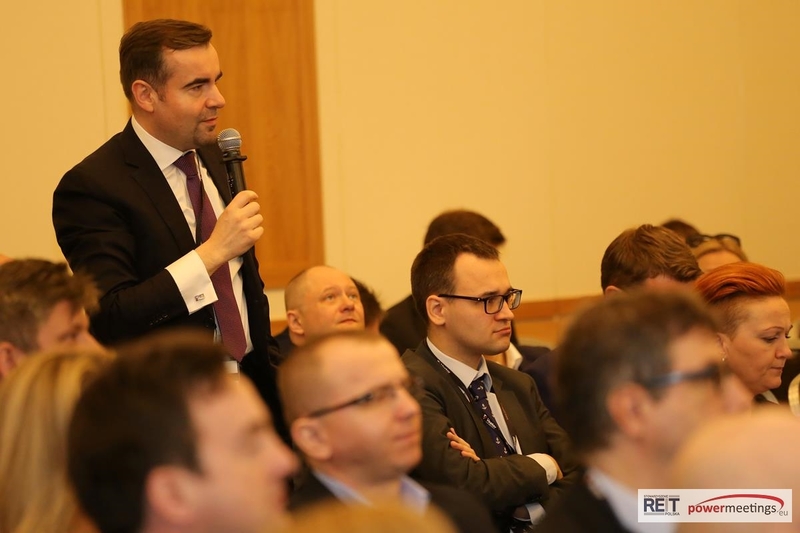 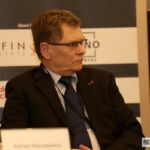 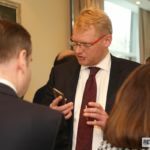 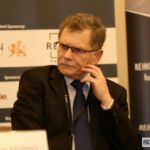 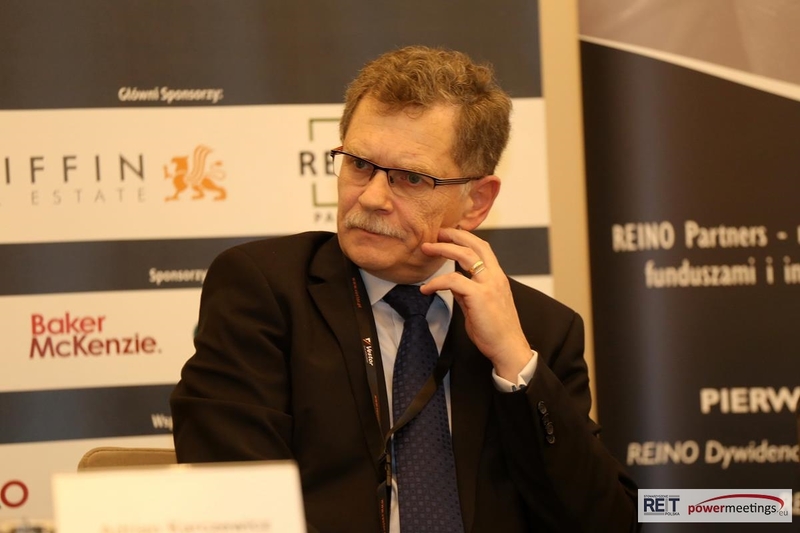 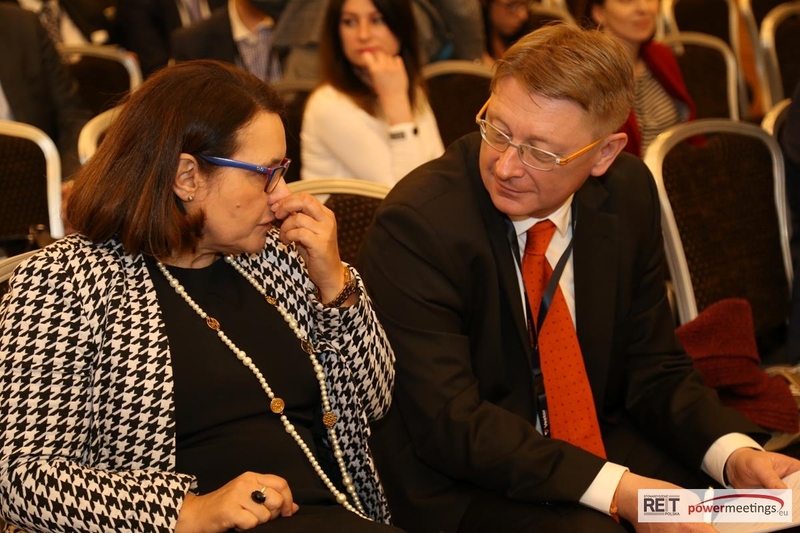 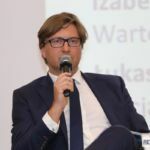 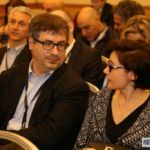 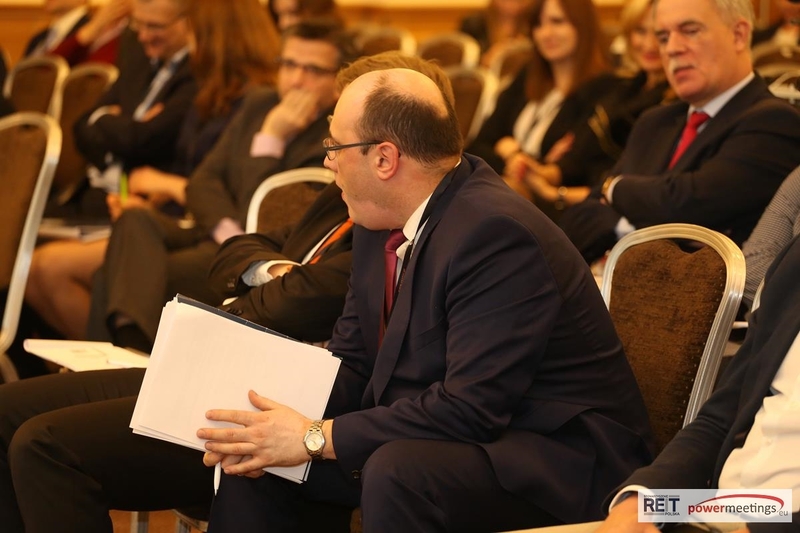 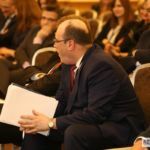 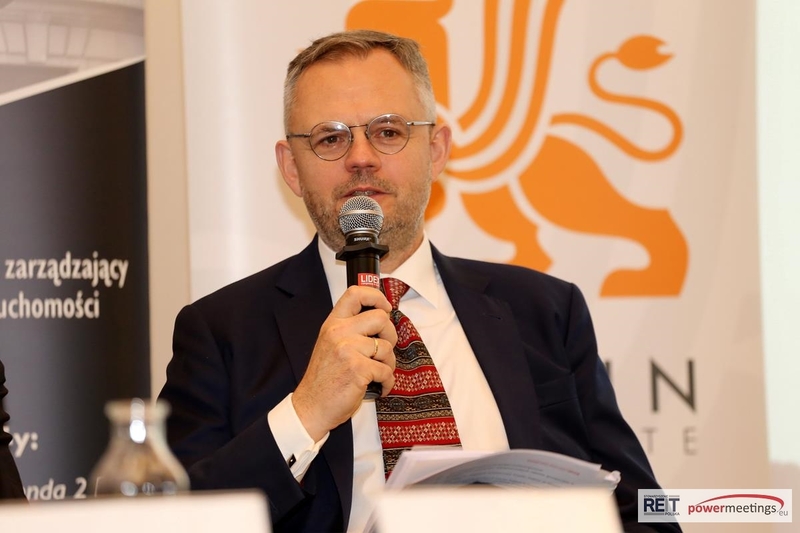 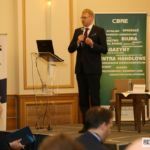 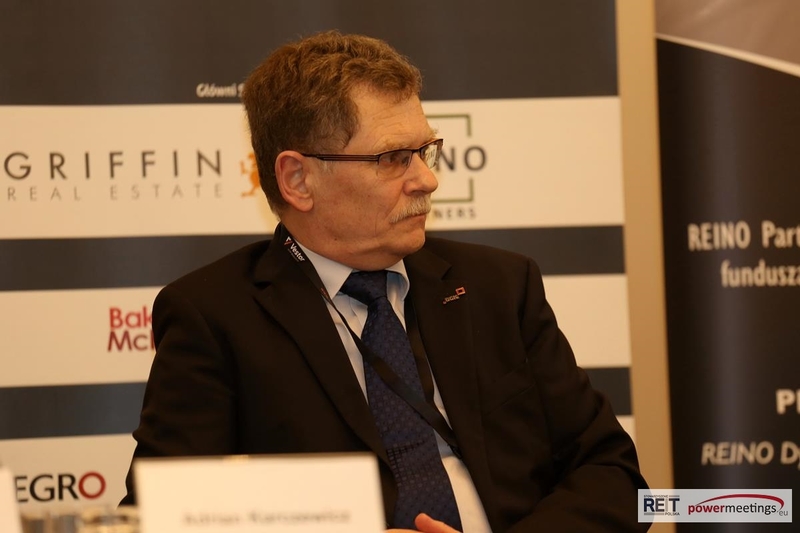 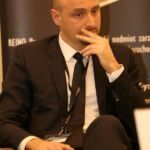 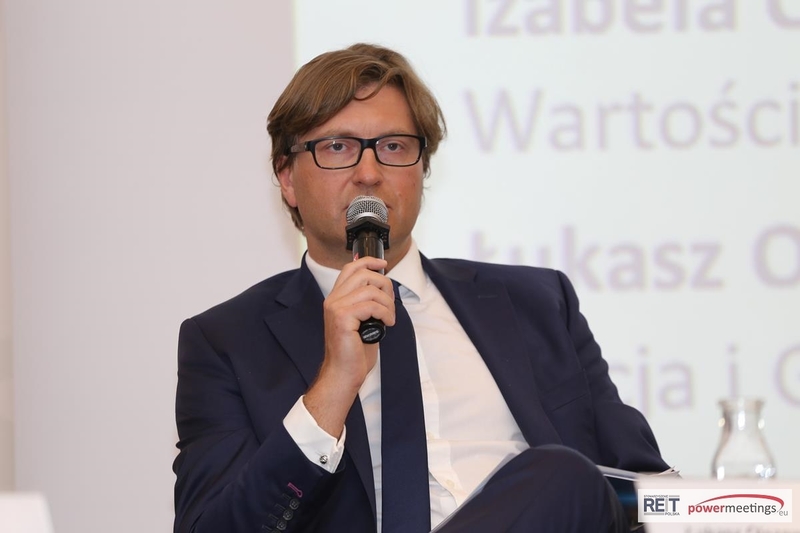 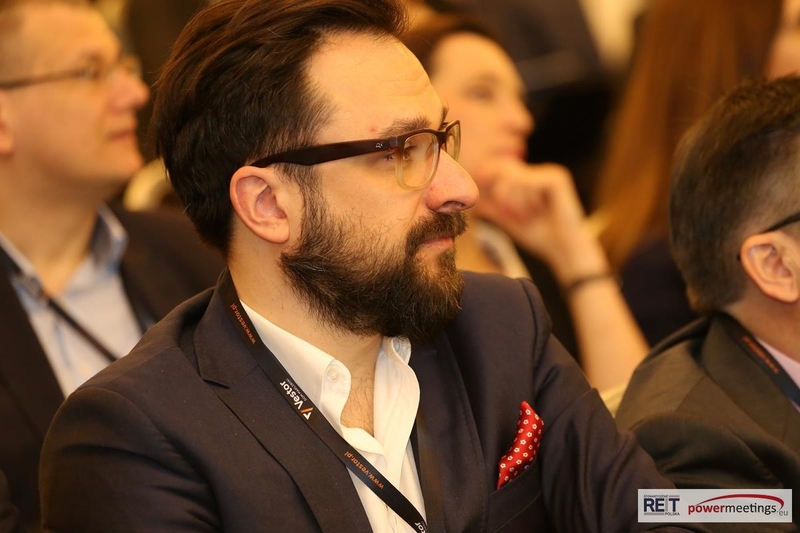 Mr. Obroniecki replied to many important questions posed by attendees interested in the shape of the law on REITs that his ministry is creating. 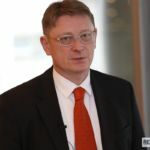 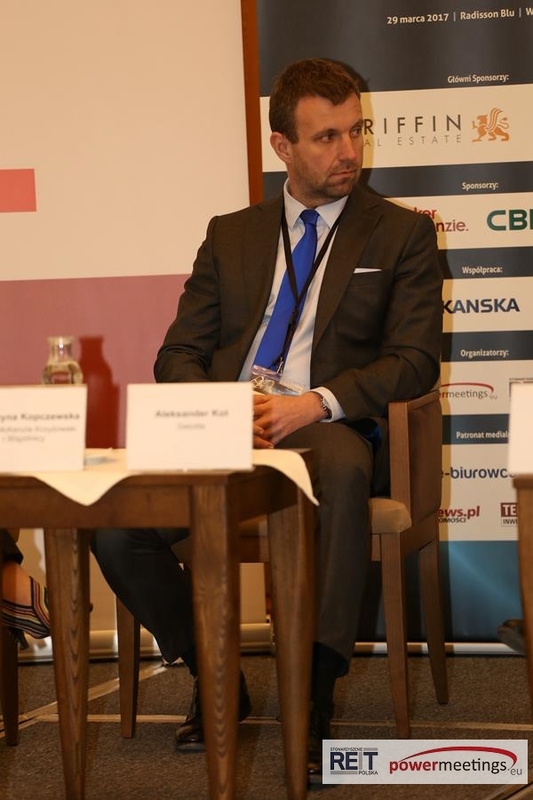 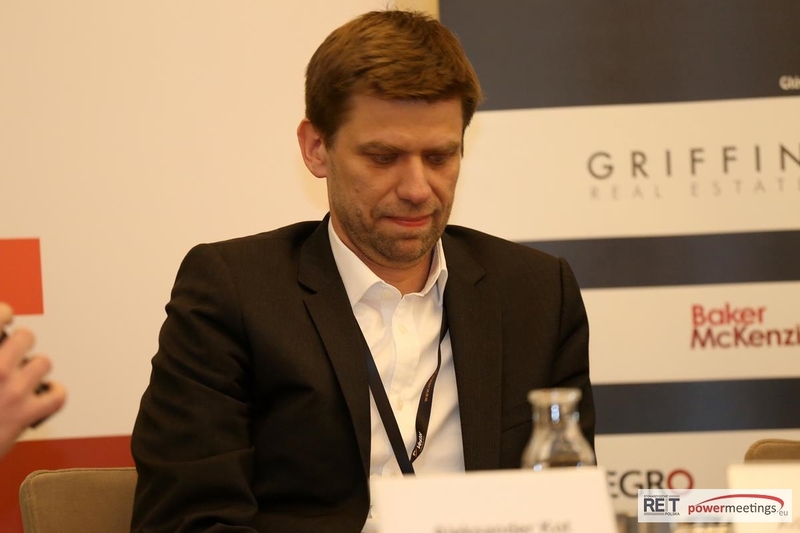 The most important issues raised during this session were extending the type of real estate that can be included in REITs to encompass rental residential properties, the reduction of share capital, and the possibility of setting up REITs for capital outside Poland, provided the company is based in Poland and under Polish jurisdiction. 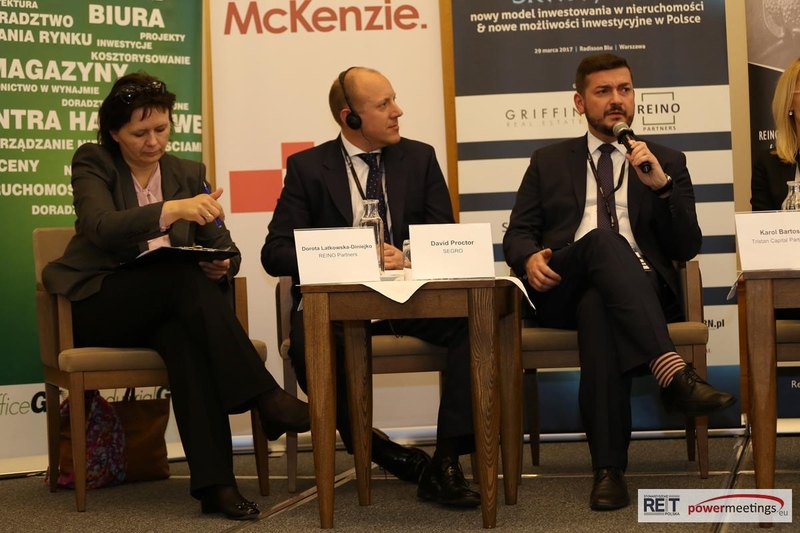 Panelists in the Formal-Legal Panel talked about the clear principles of the conditions that a REIT entity should fulfill and the requirement for transparent reporting procedures. 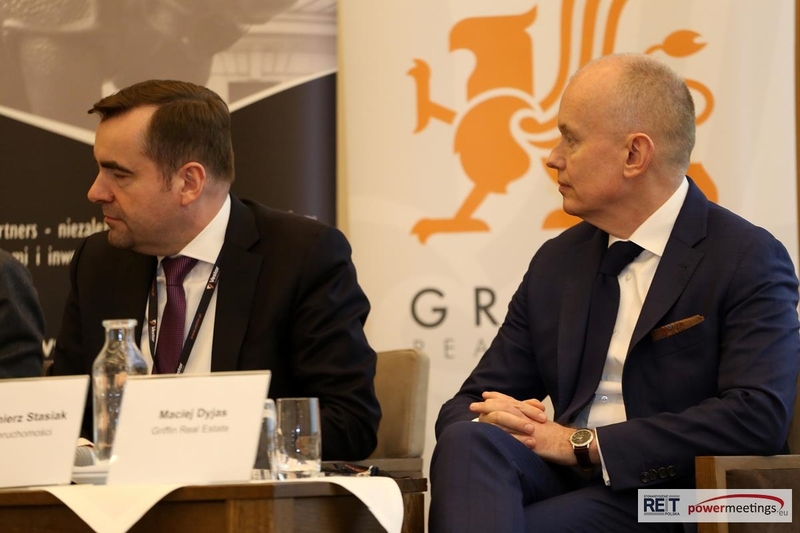 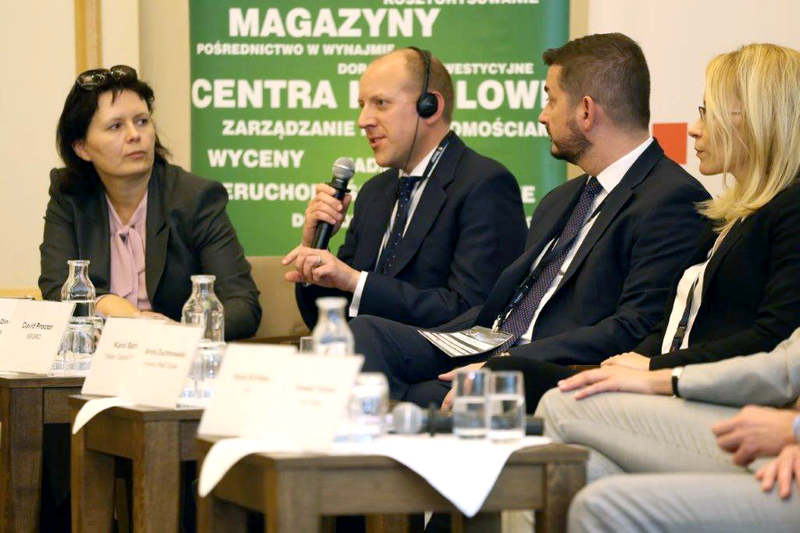 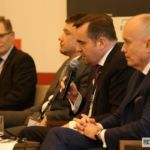 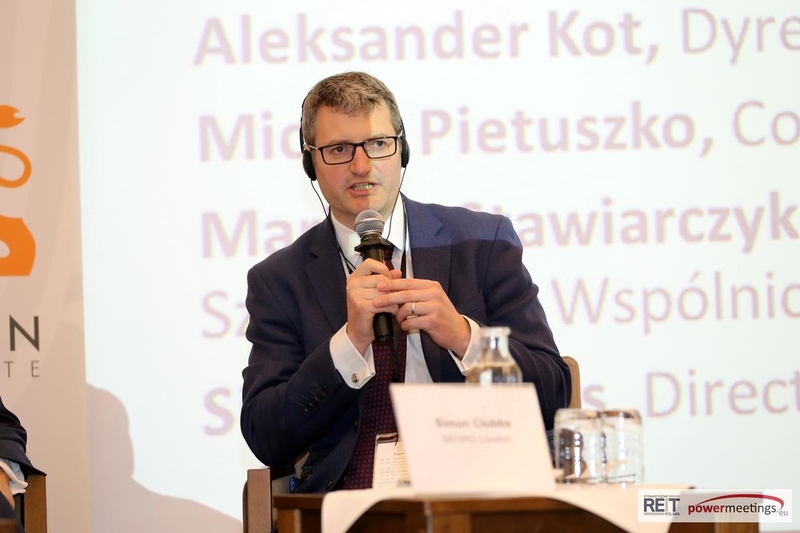 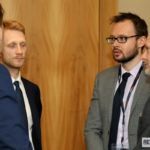 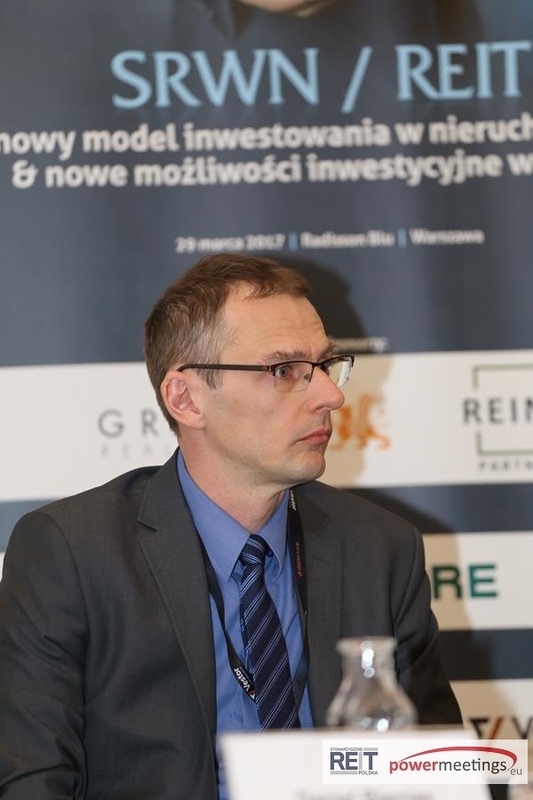 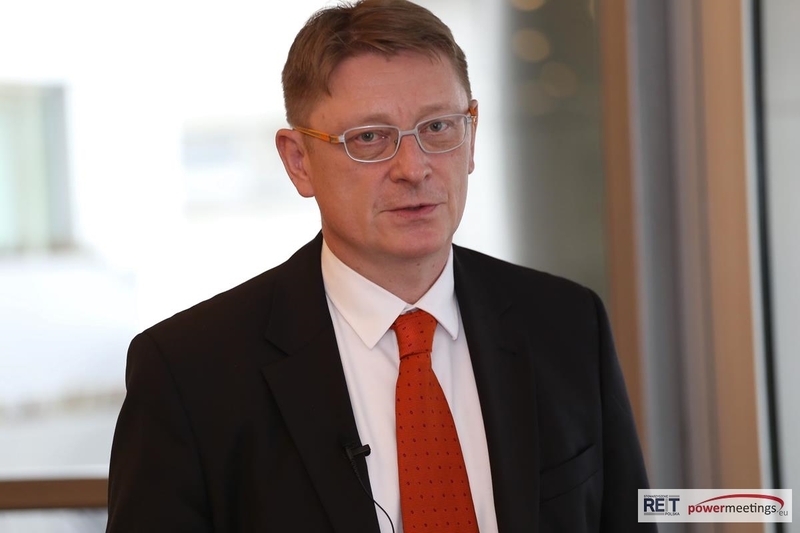 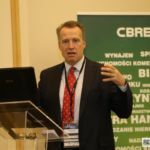 Simon Clubbs, Director of Tax, SEGRO, spoke from his experience in the REIT sector on the London Stock Exchange about UK-based solutions and how the REIT process in Poland could be set up. 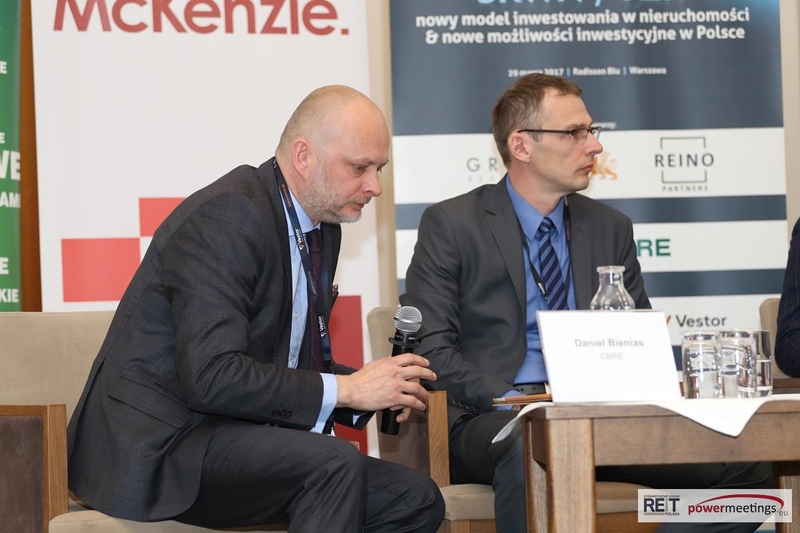 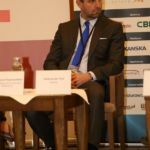 The next subject was the Potential of the Polish market and assets featuring panelists from the real estate sector, the Warsaw Stock Exchange, and the S&P Global rating agency. 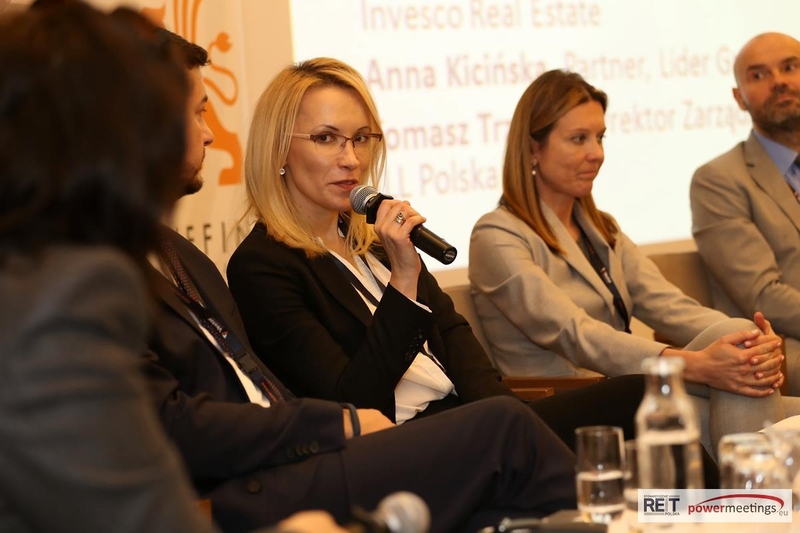 Panelists confirmed that publicizing a portion of the commercial real estate market will result in a significant increase in total capitalization of the stock market and the development of the entire financial market. 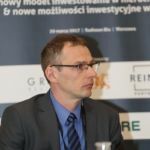 Listing on a stock exchange provides restrictive control by government bodies and additional investment liquidity, both of which are crucial for individual investors and the protection of their interests. 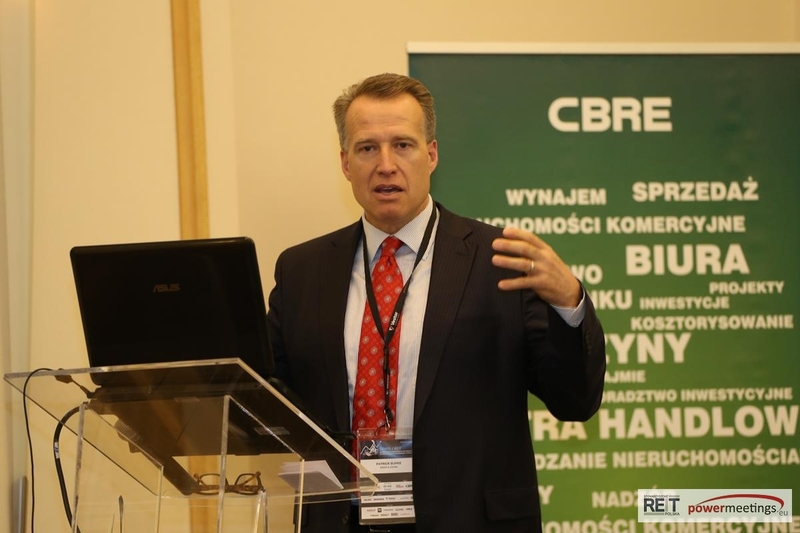 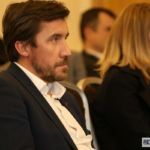 Patrick Burke, Executive Director-Business Development Leader for Central & Southern Europe at EY, delivered a very well-received presentation on REITs based on experience from the US market. 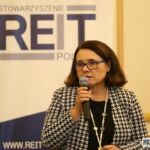 In a simple and convincing way, it showed the principles of REITs in the USA. 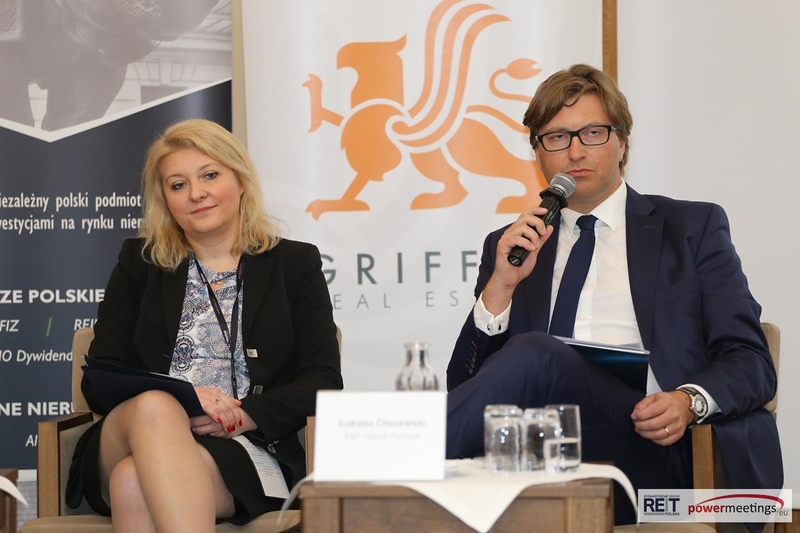 The most important aspect of the discussion on international practice was the emphasis on the benefits enjoyed by most economies in countries following the introduction of REITs. 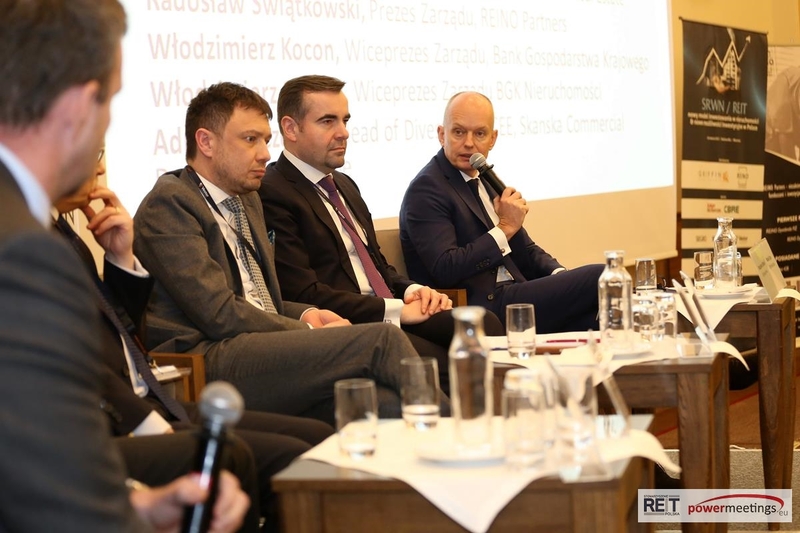 It was the discussion following the panel on Polish practice that ignited the most intense discussion, in particular the limited legal framework that REITs are being afforded, as they are limited to joint-stock companies with the exception of FIZs, Limited Partnerships and foreign exchanges. 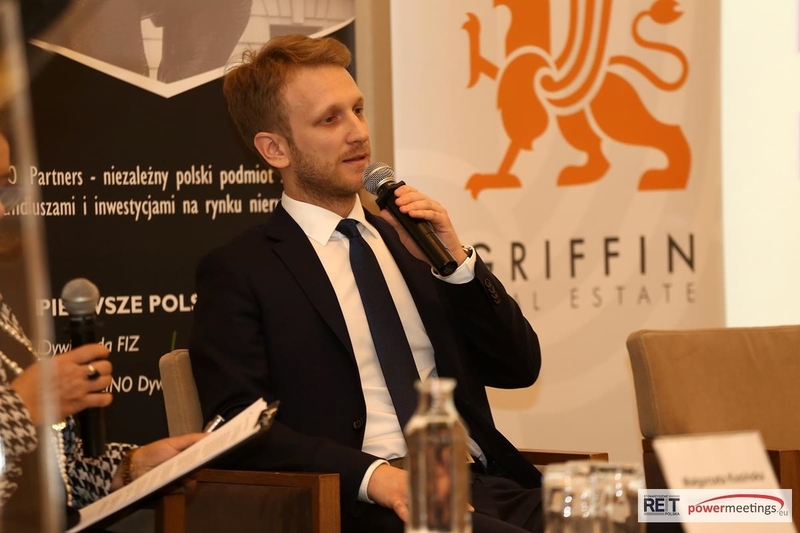 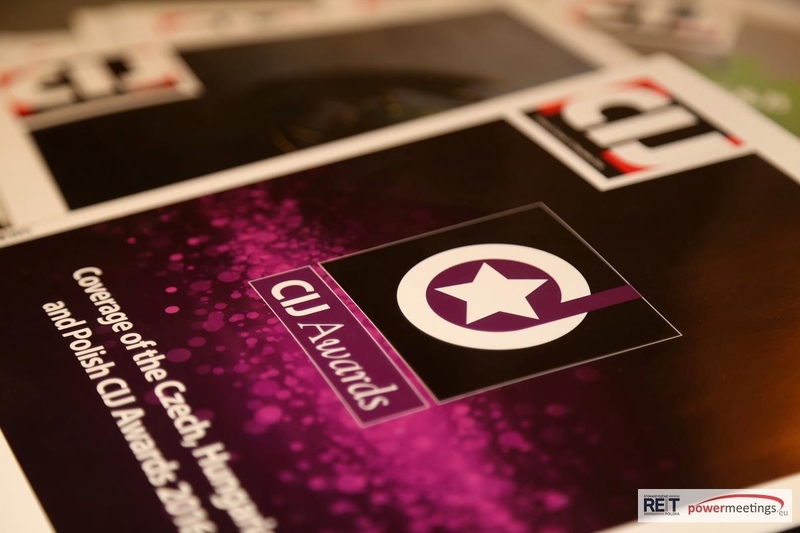 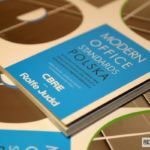 Another hotly discussed topic was the approach to the problem of exchange rate differences between euro and the zloty, given that the majority of commercial property lease contracts in Poland are concluded in euro. 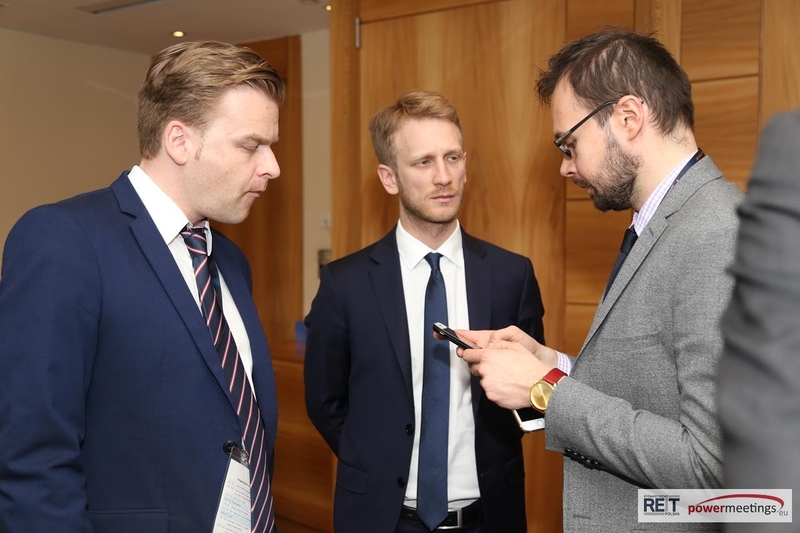 In addition to presentations and discussion panels, interviews with our speakers during the conference were conducted. 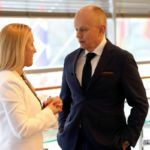 These interviews will be made available to the public shortly. 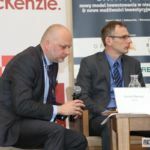 Taking into consideration both the quality of the speakers that were assembled and the great interest in the conference, the event was a major success. 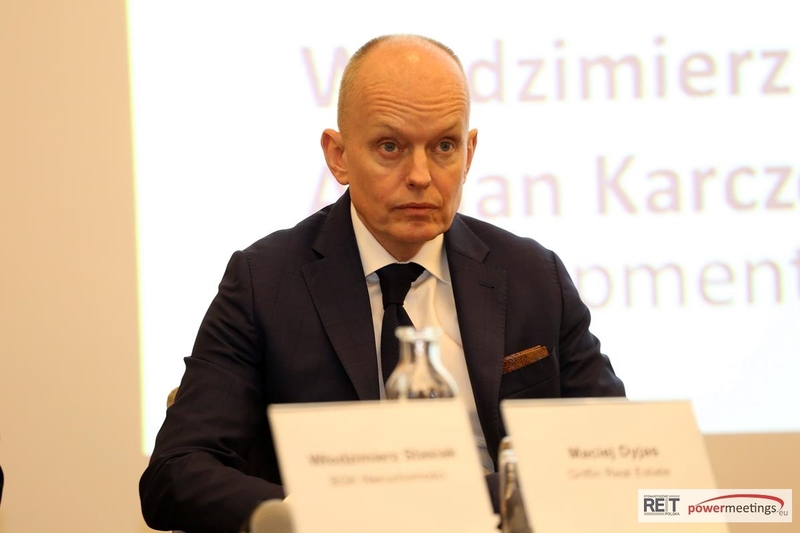 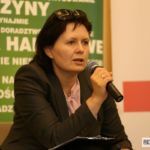 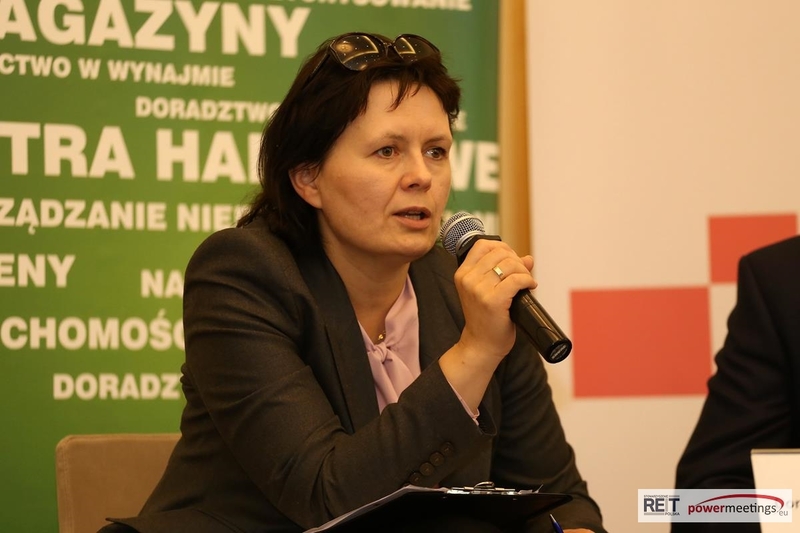 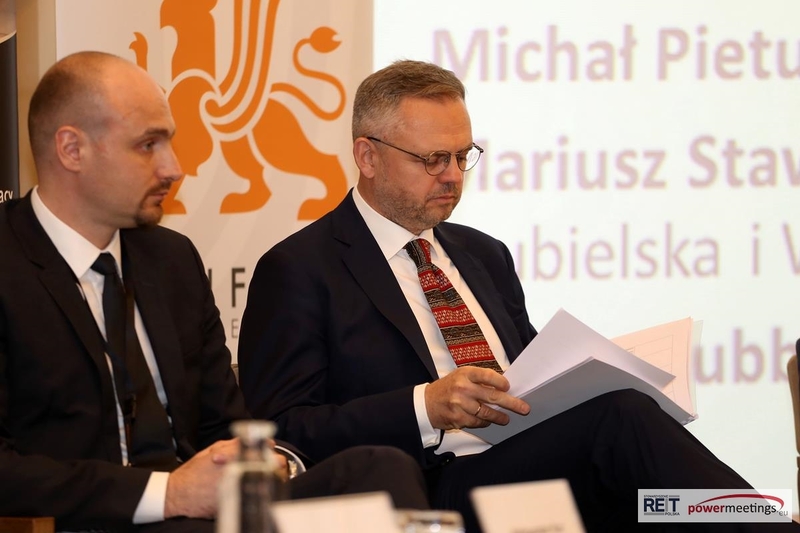 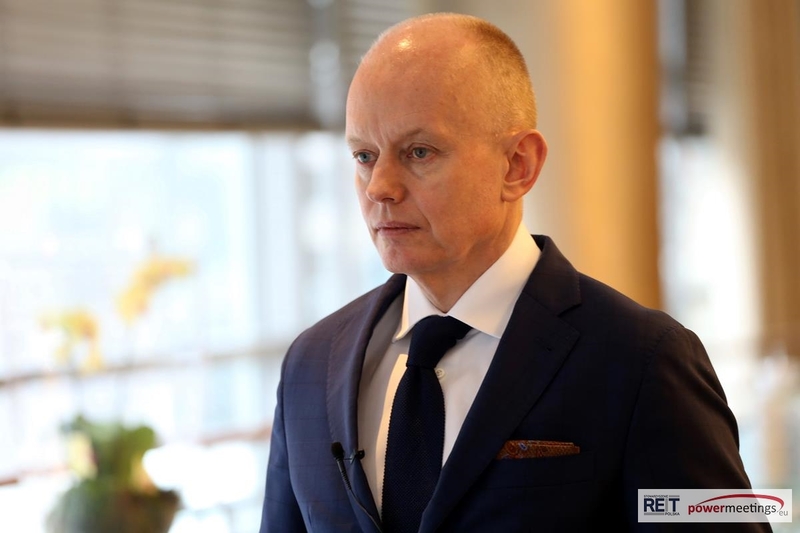 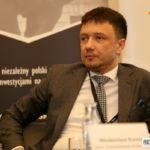 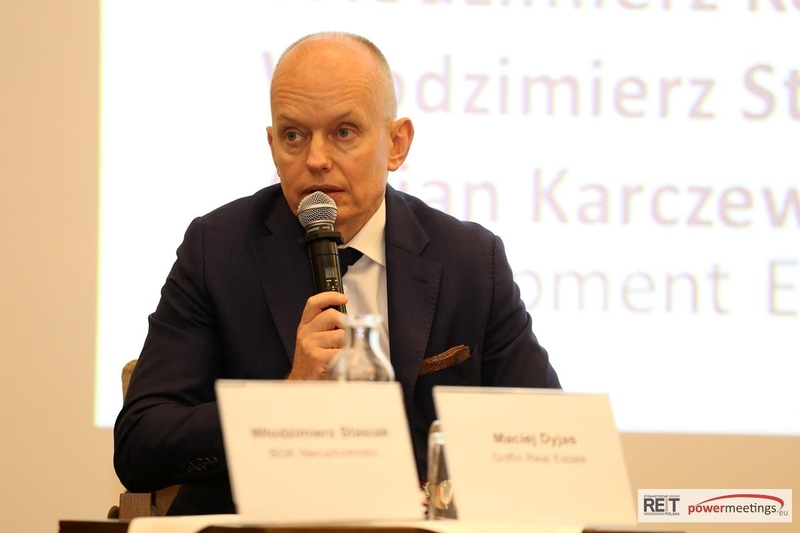 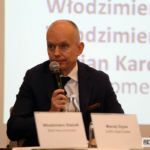 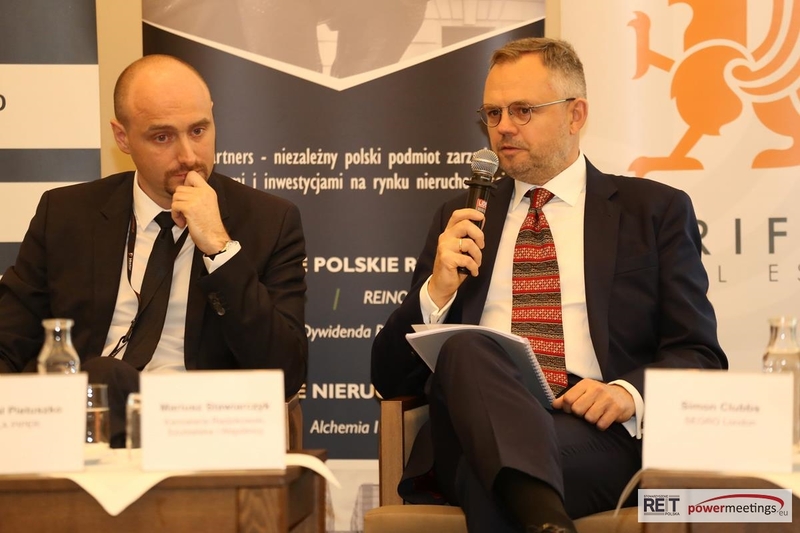 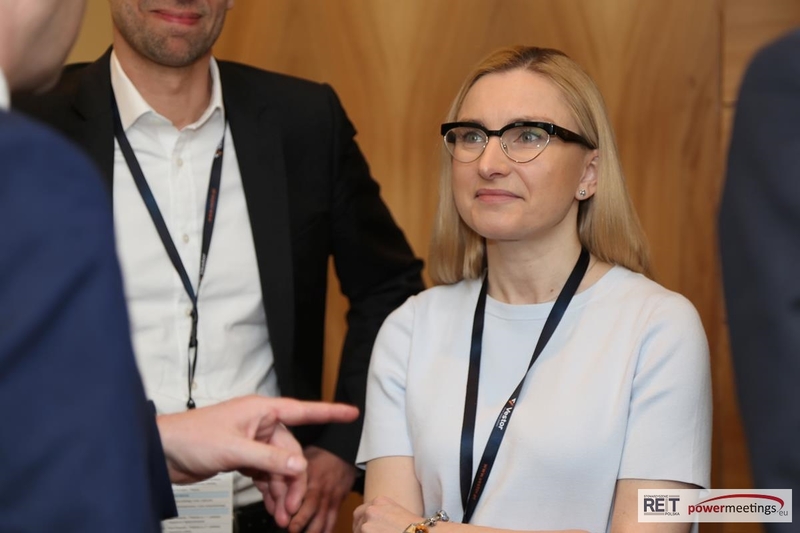 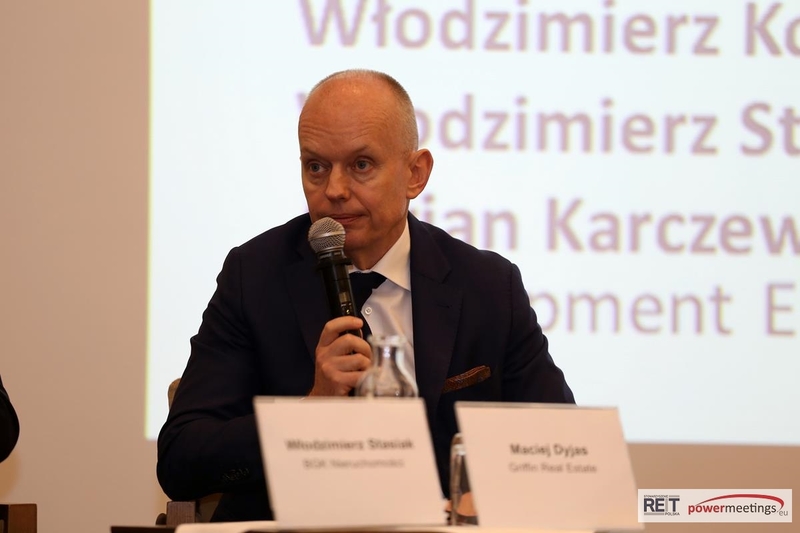 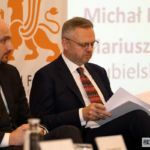 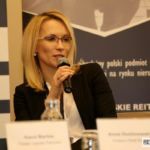 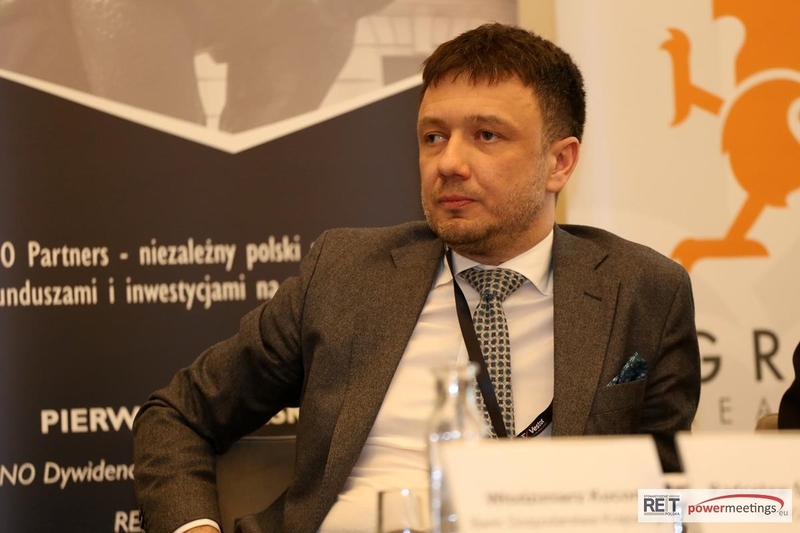 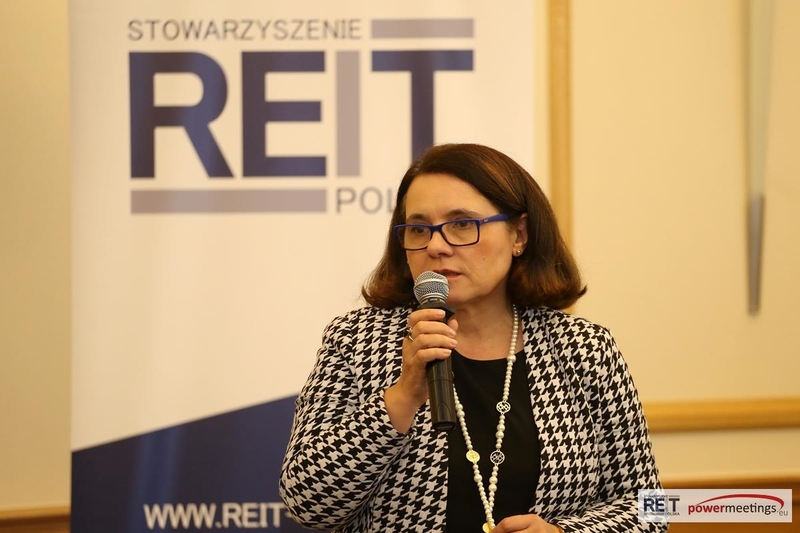 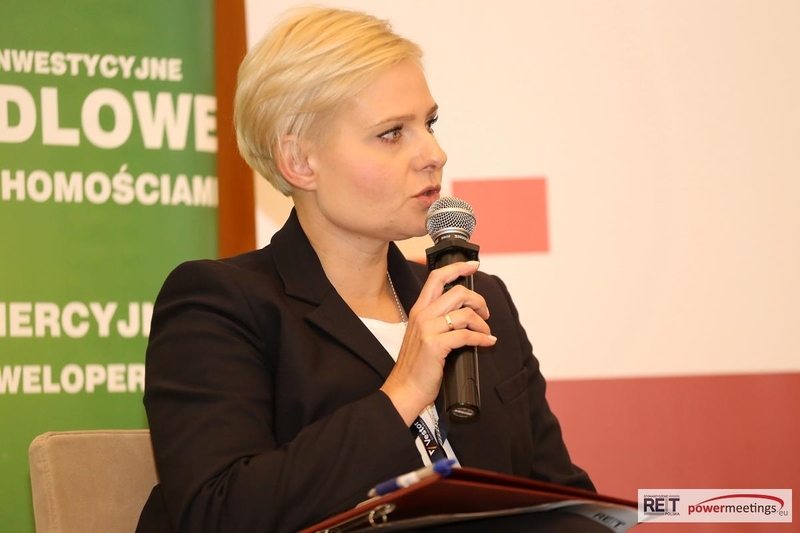 Another meeting is being planned for September, which will build on this meeting, but will contribute greatly to discussion about REITs in Poland, especially since as the Ministry of Finance announced, the shape of the future law should already be known. 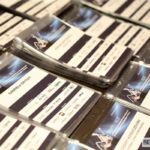 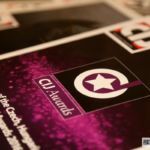 Many thanks to all our sponsors, speakers, media partners and attendees & we meet next time in September 2017.